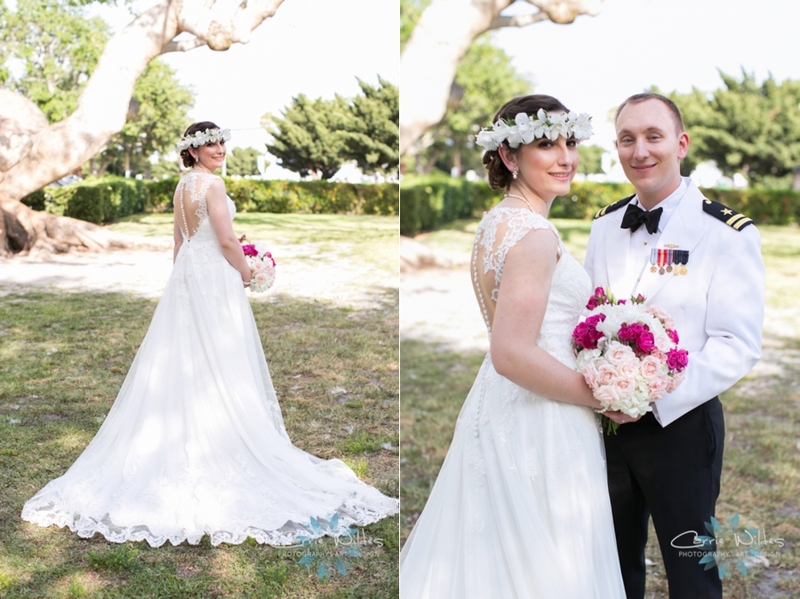 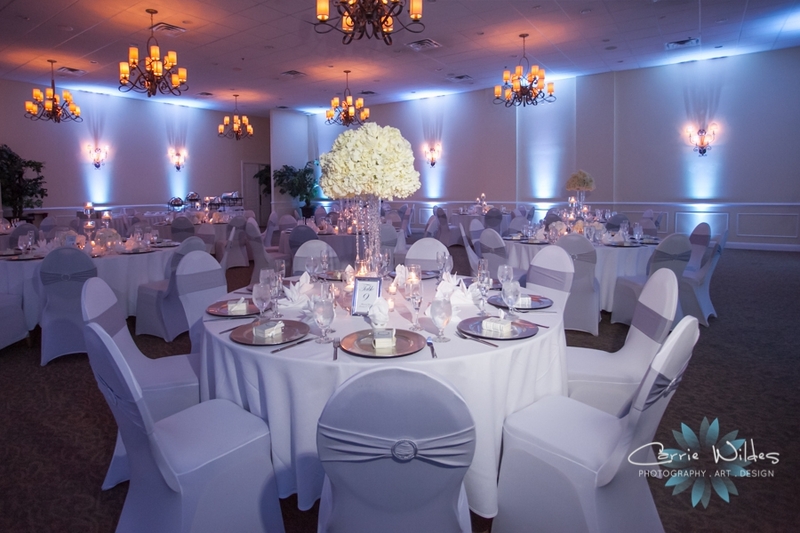 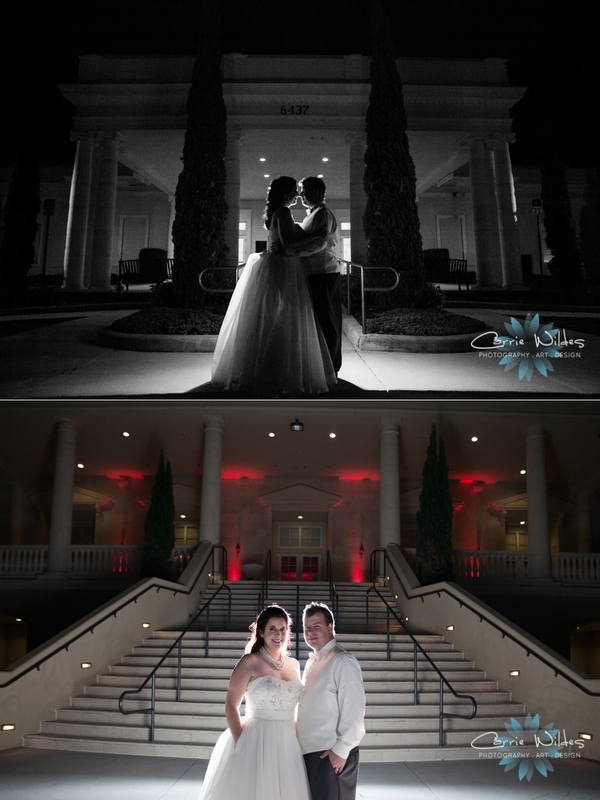 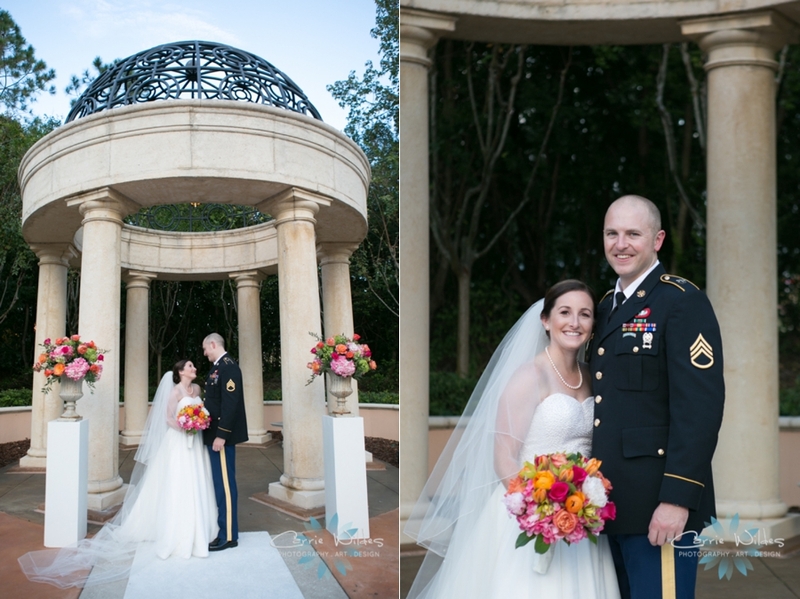 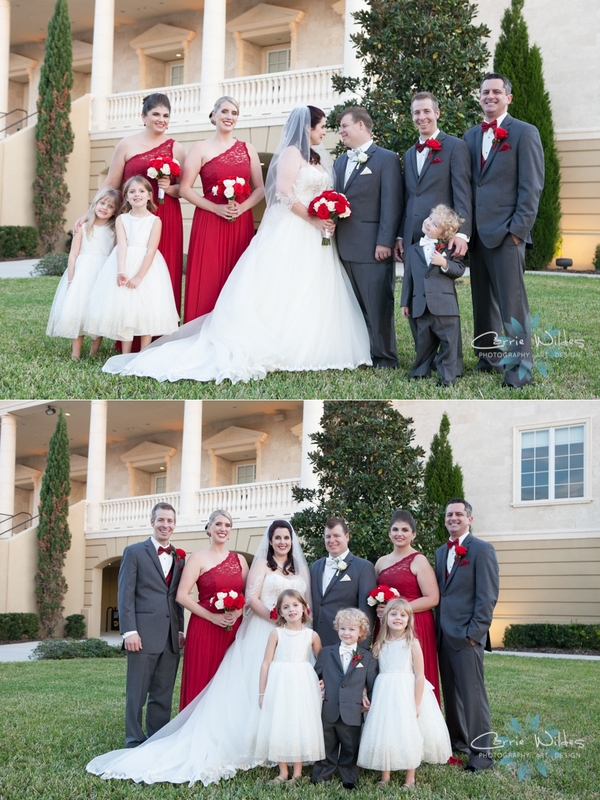 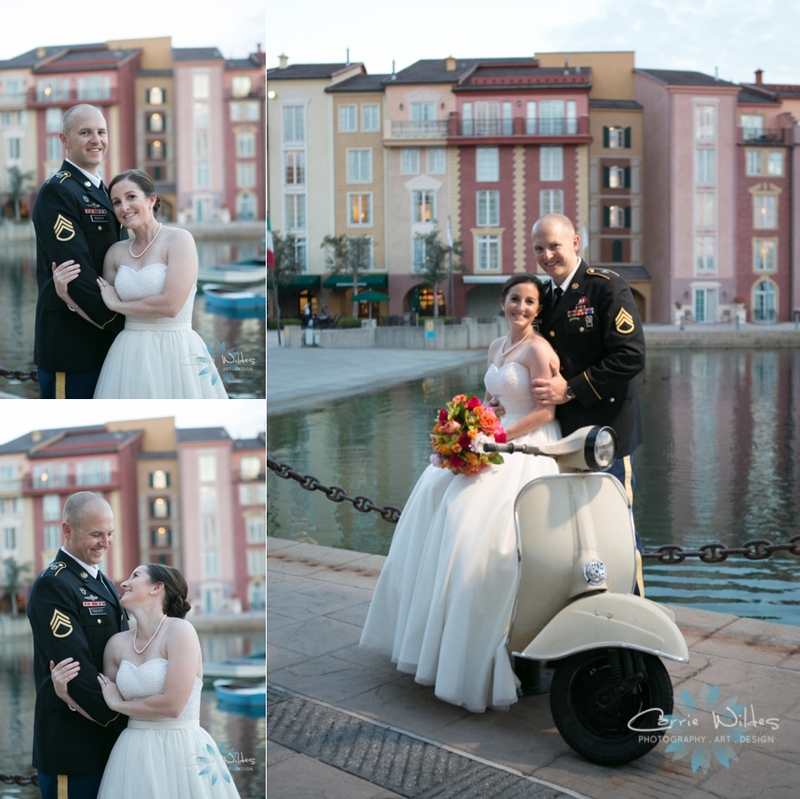 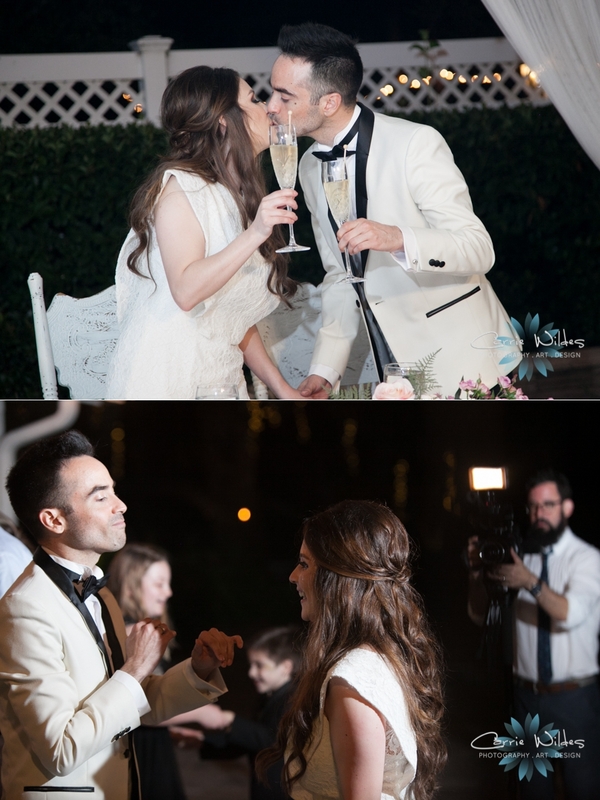 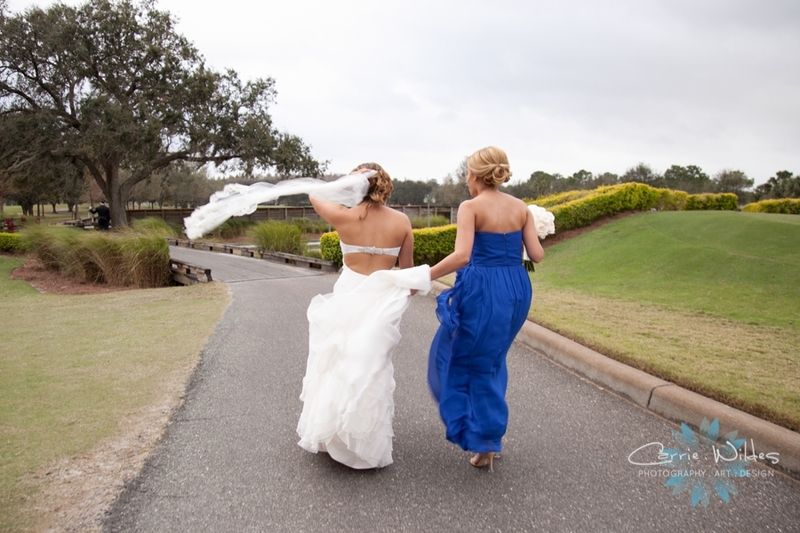 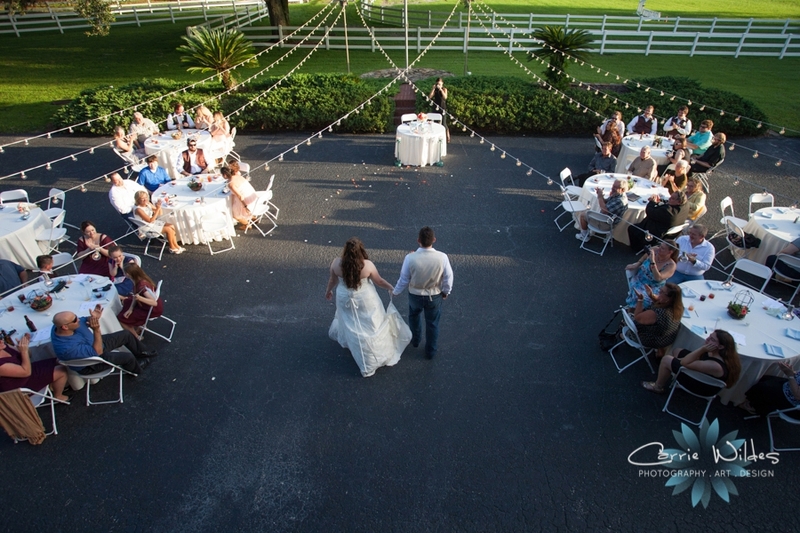 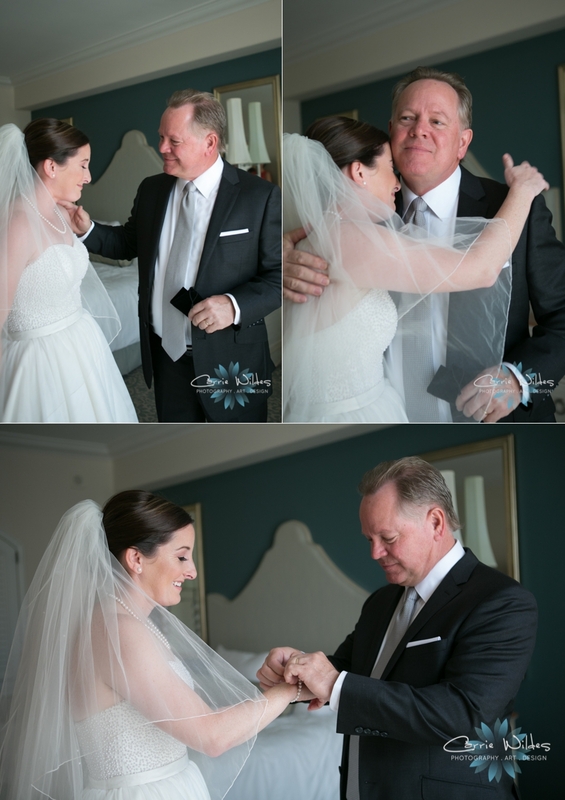 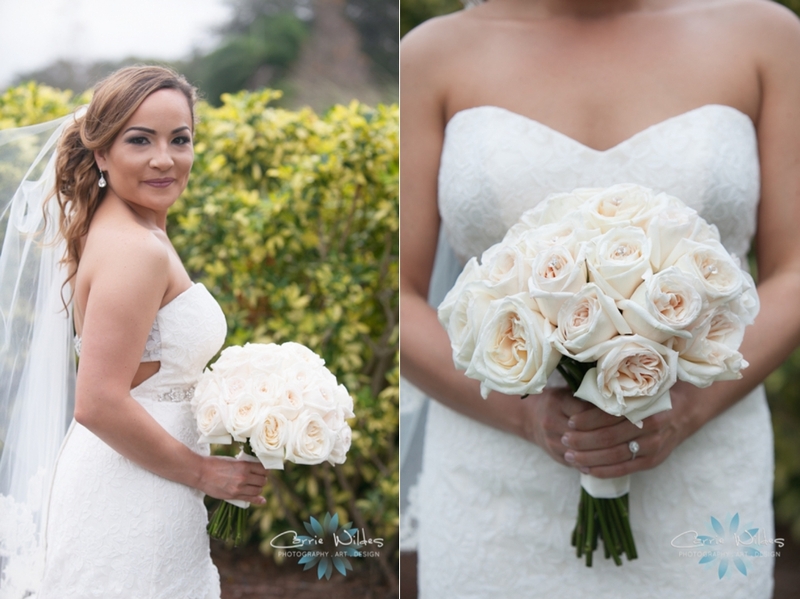 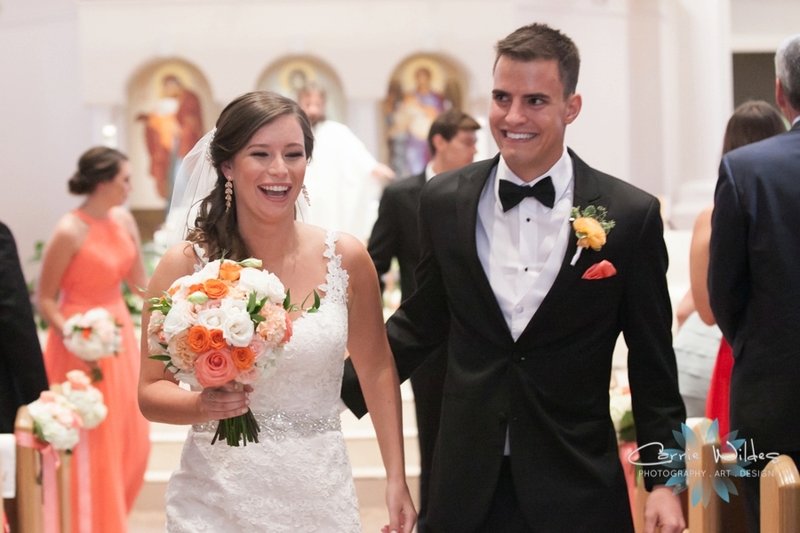 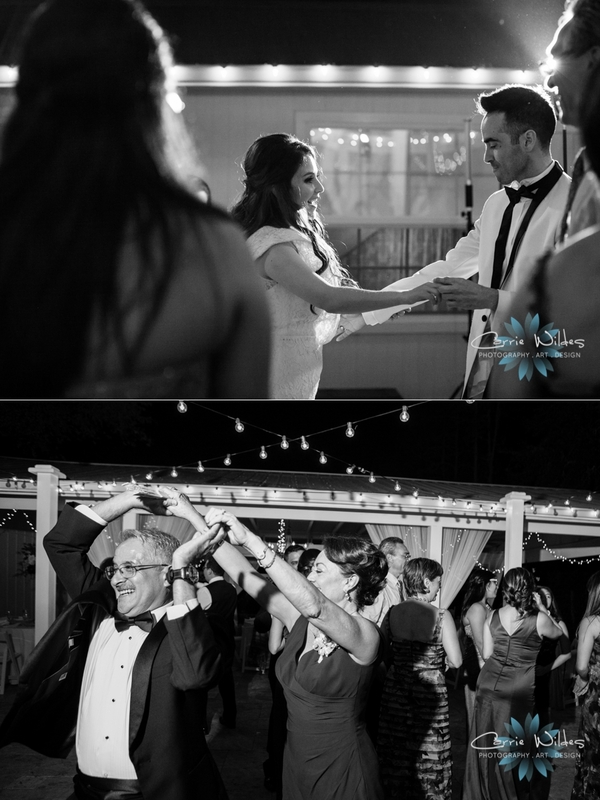 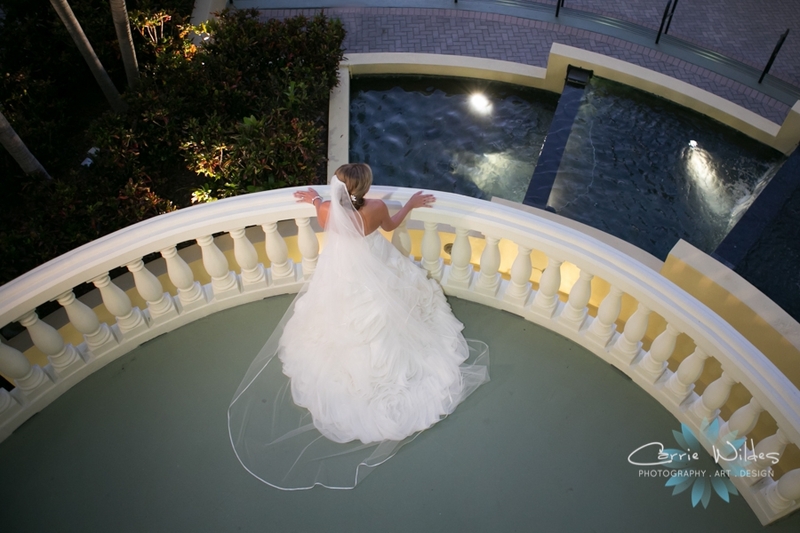 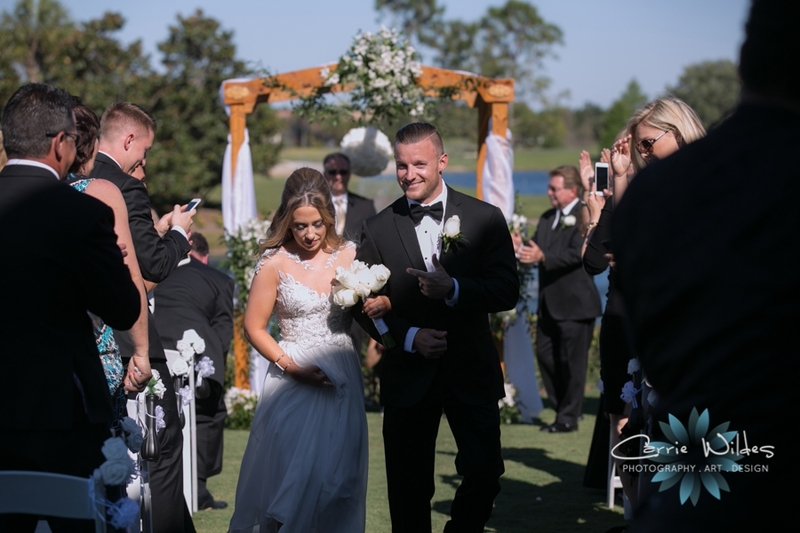 Brittany & Will's Innisbrook Resort Wedding Featured on Love and Lavender's Blog! 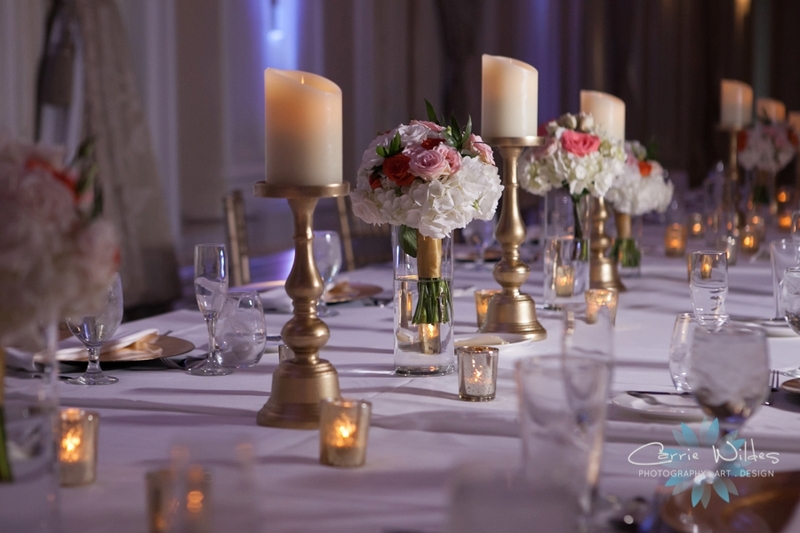 Brittany and Will's super romantic pink, gold and burgundy inspired wedding details are featured on Love & Lavender! 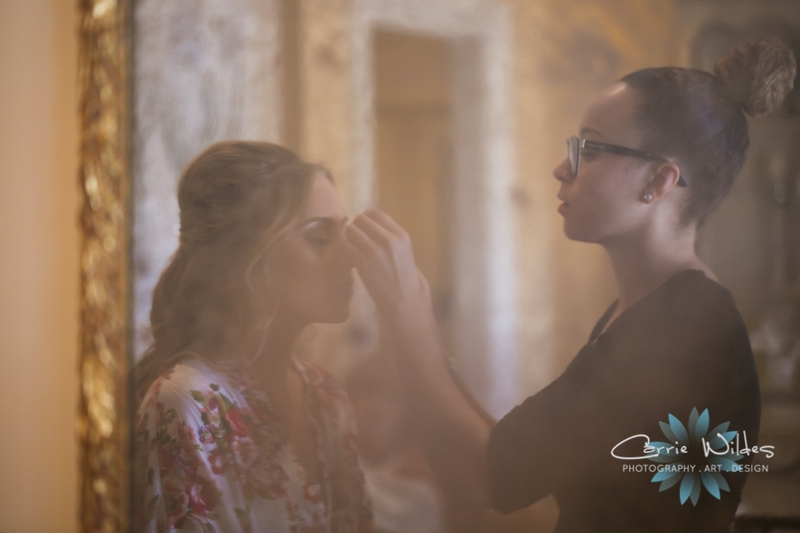 Click on the link below to see the full feature! 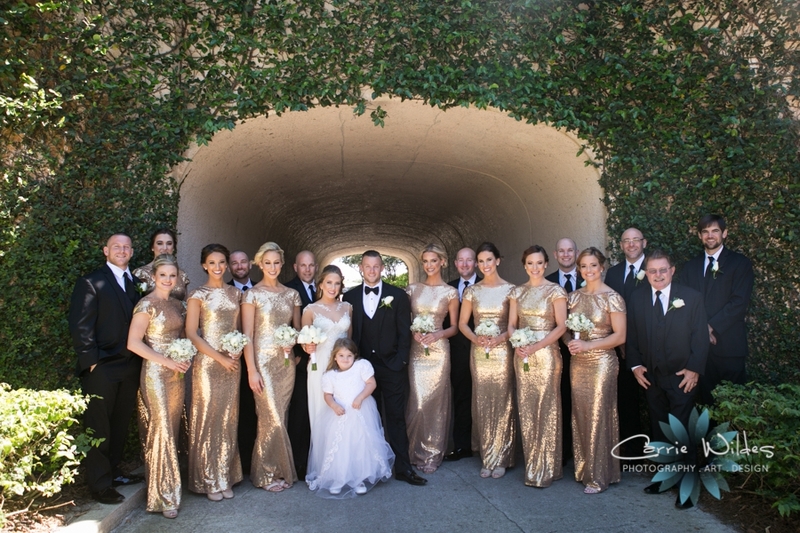 Liz & EG sparkly gold and black wedding gorgeousness is featured on Sweetened & Romantic blog!! 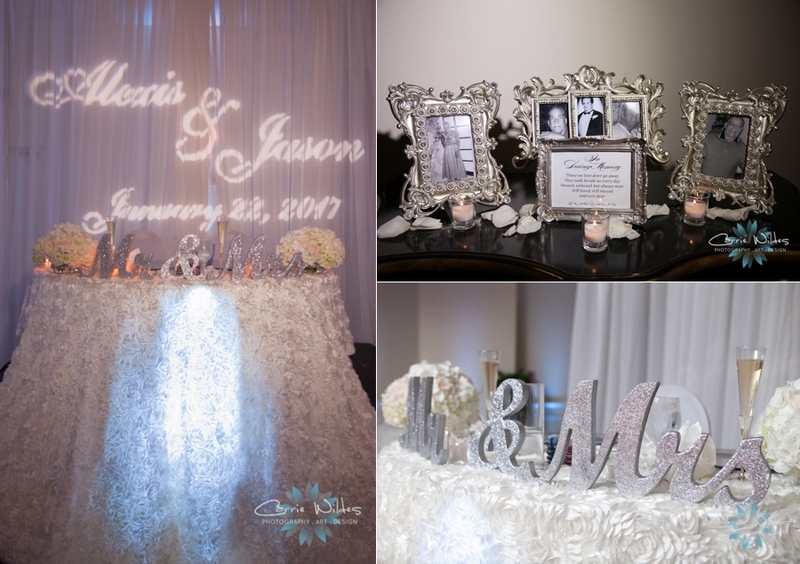 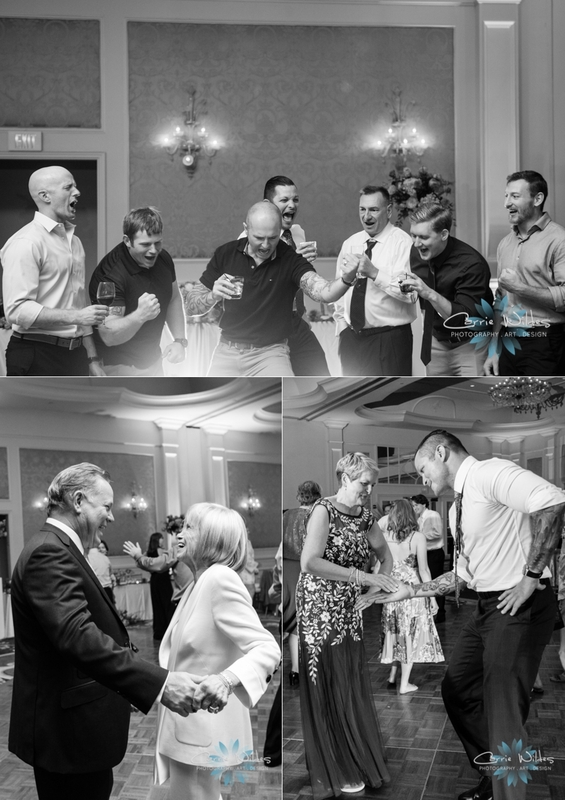 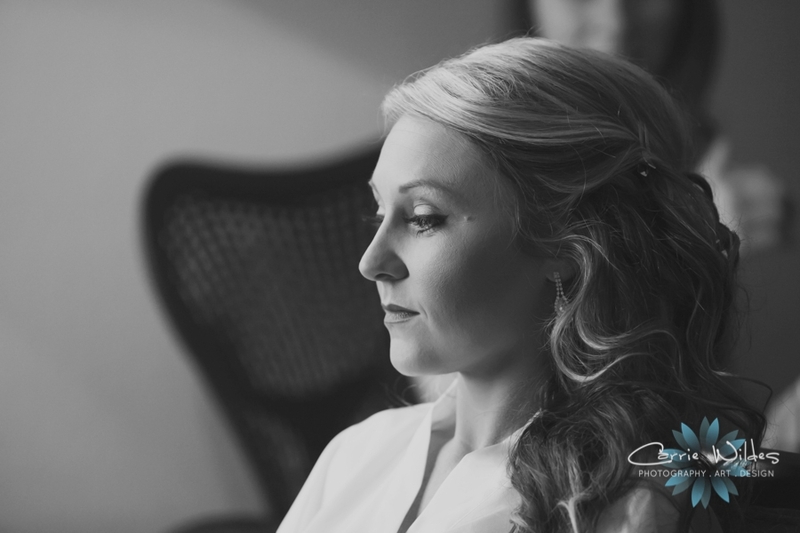 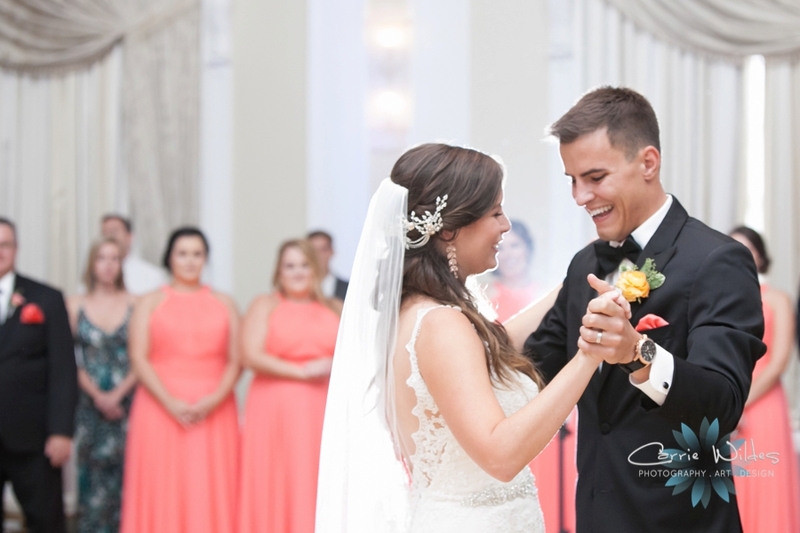 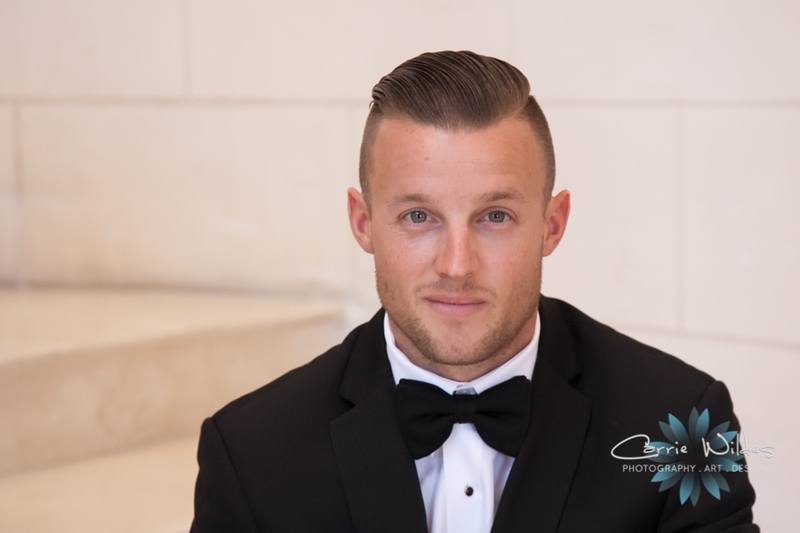 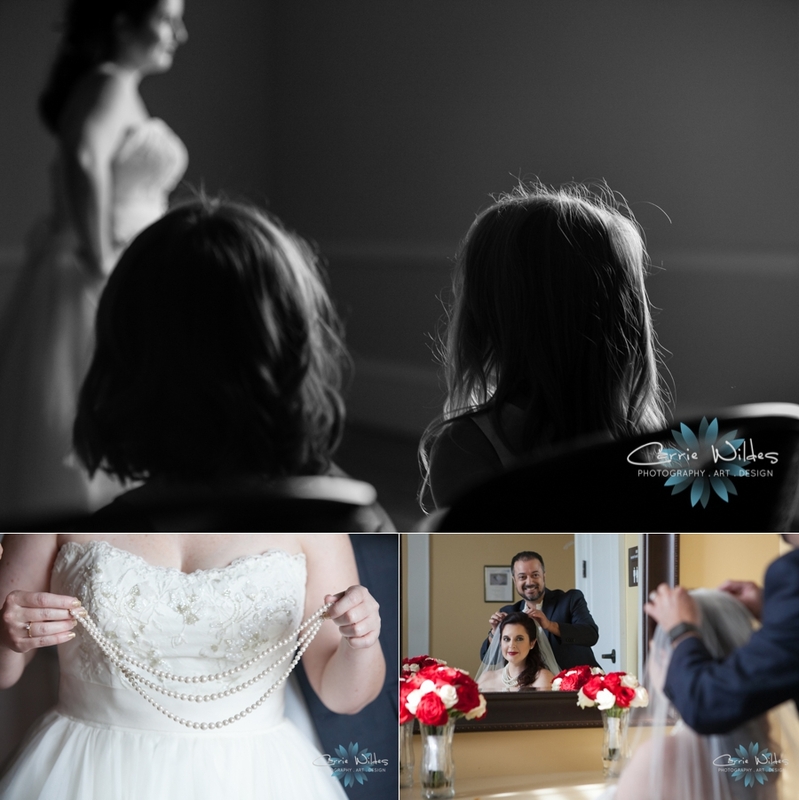 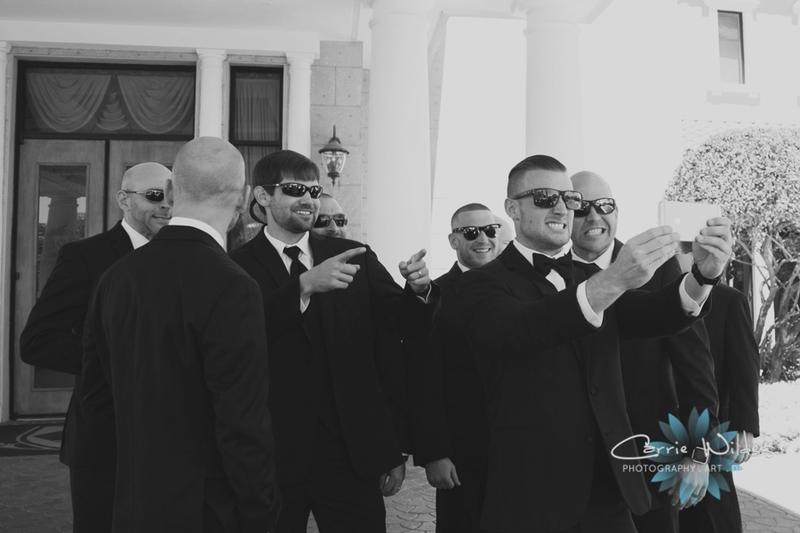 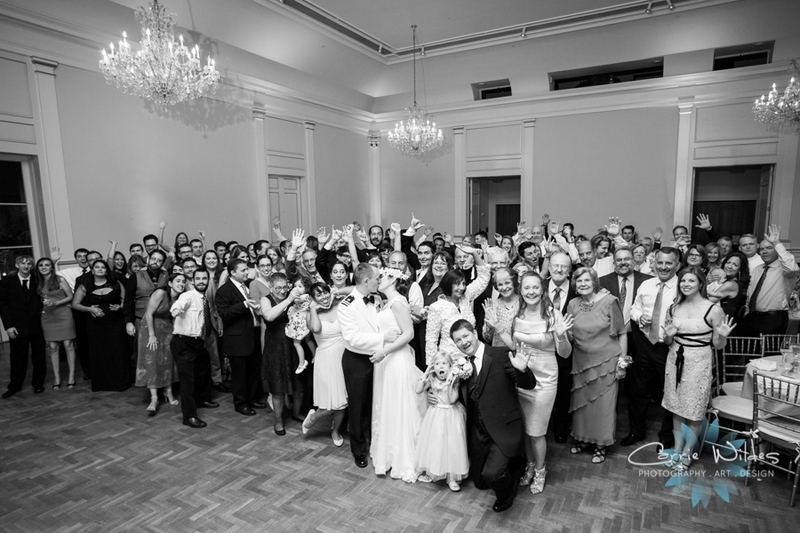 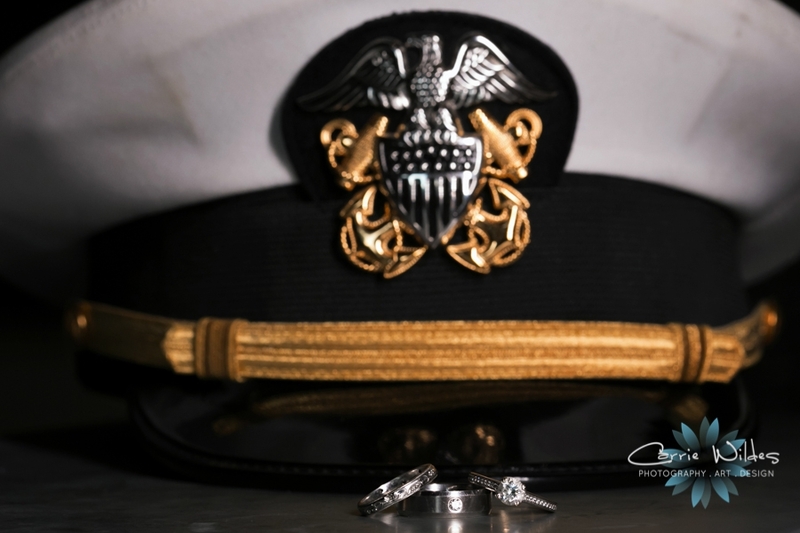 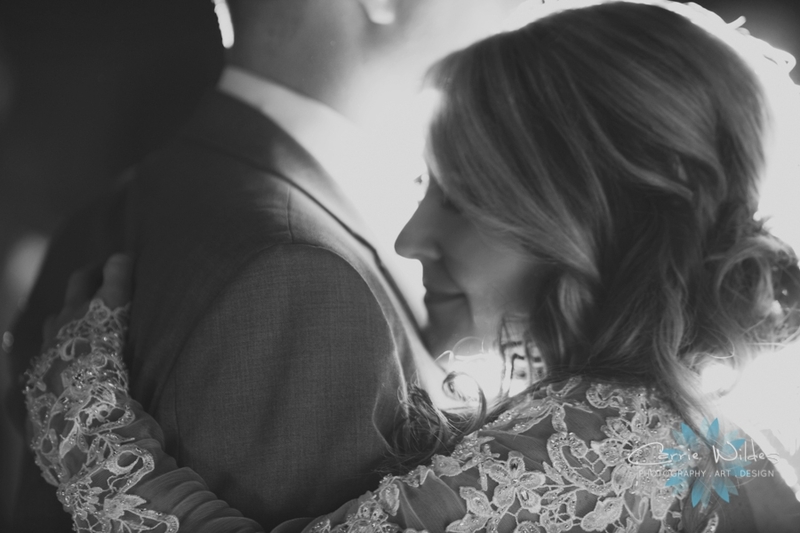 Click below to stop by and see the full feature, we LOVE when our couple's weddings get featured!! 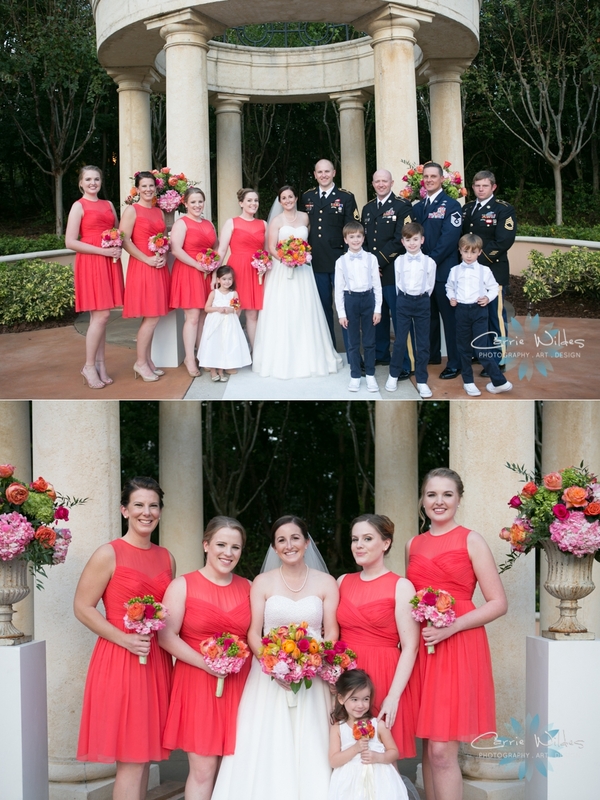 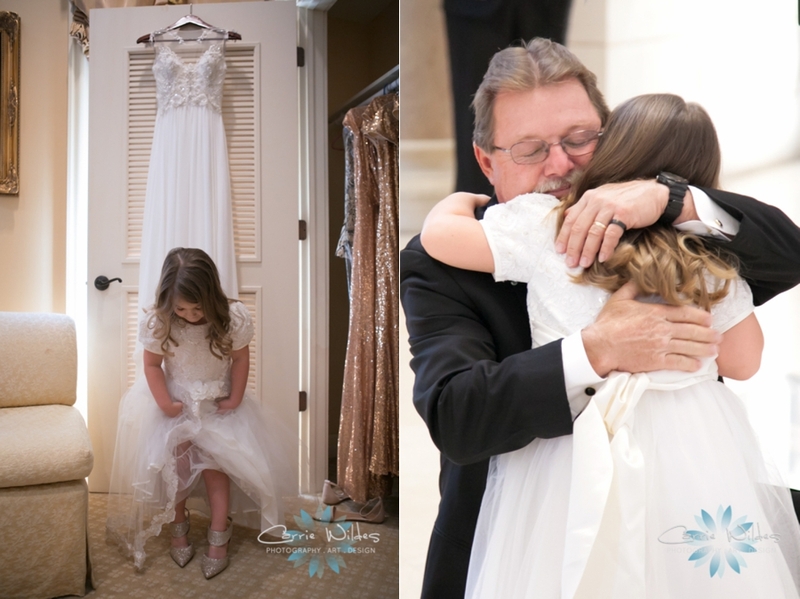 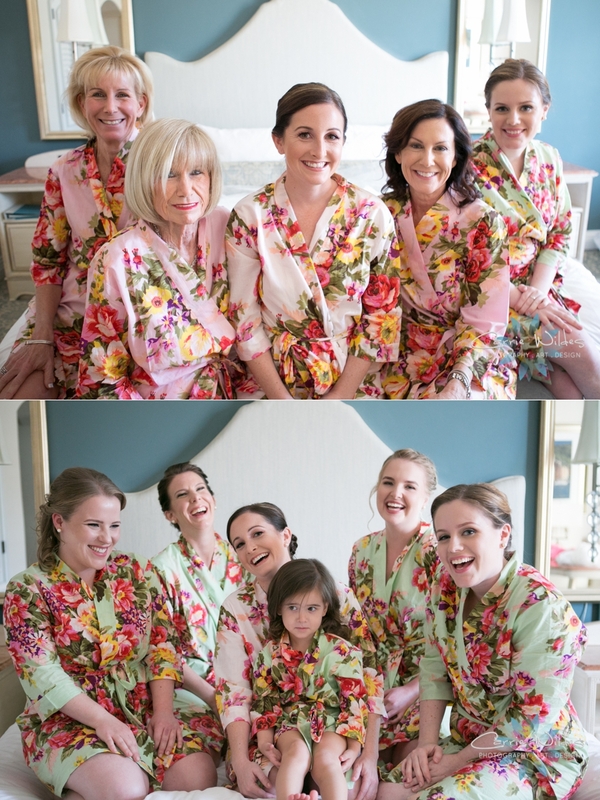 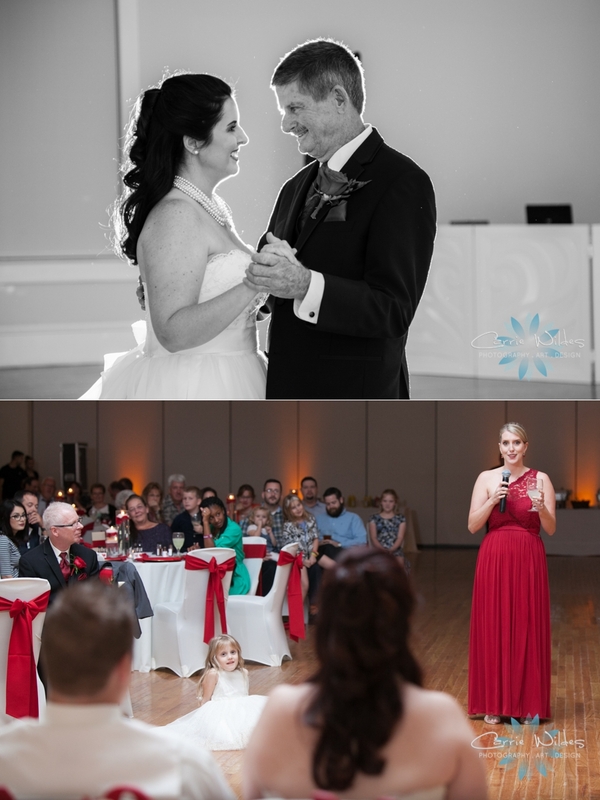 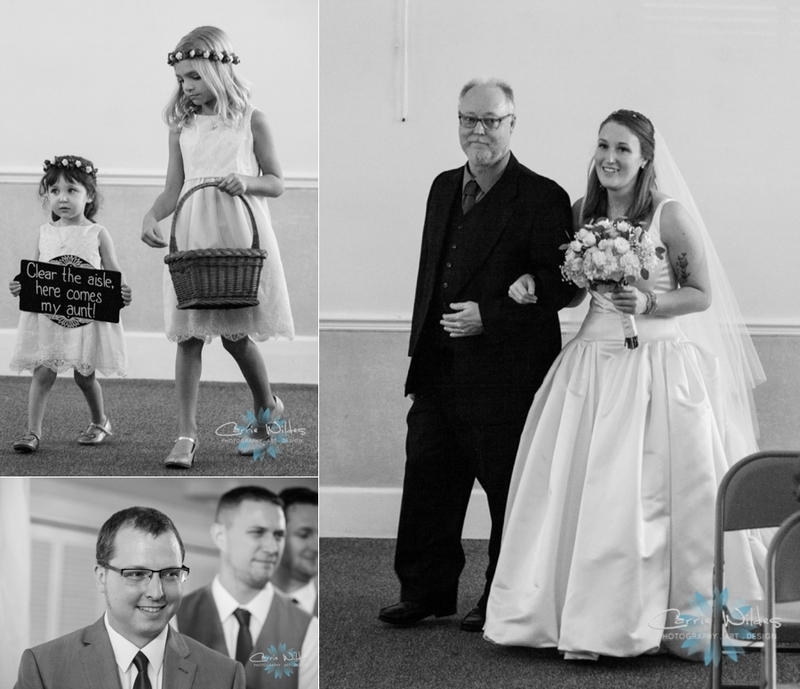 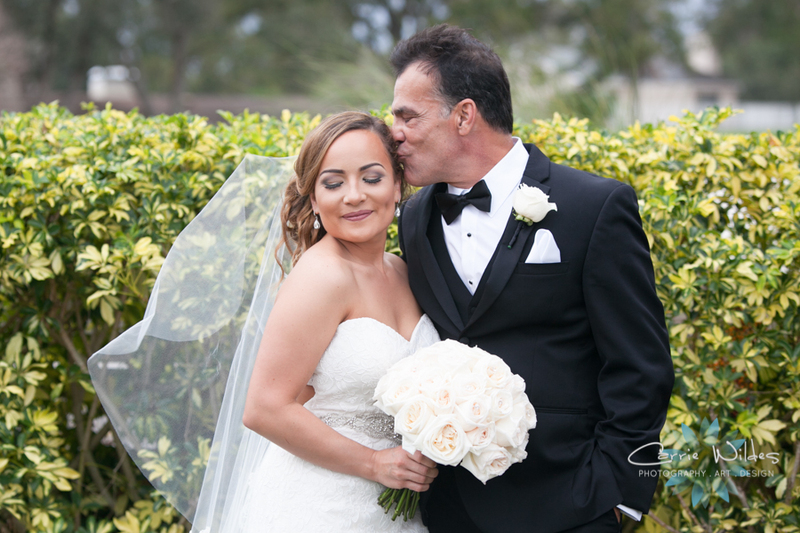 Molly & Teddy had the most gorgeous wedding with pops of bright color and so many special details. 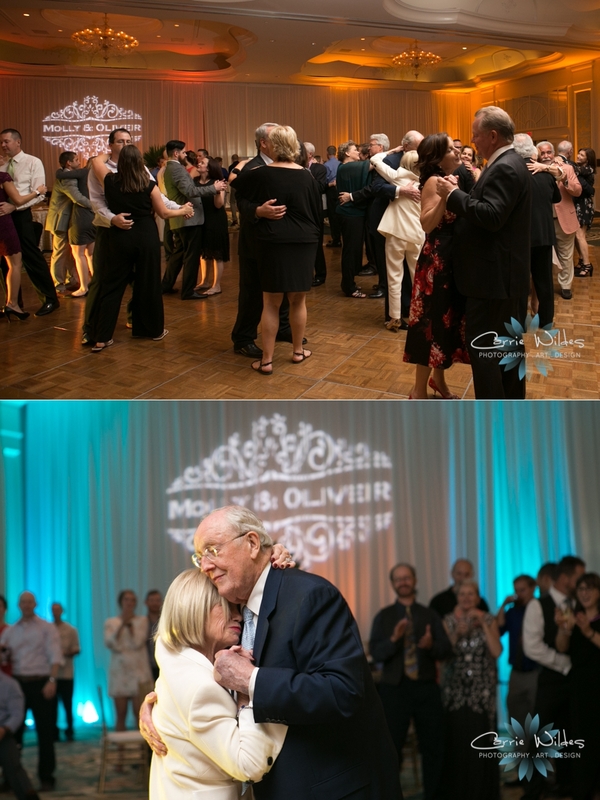 The most important part is all their favorite people from all over the world were there to celebrate. 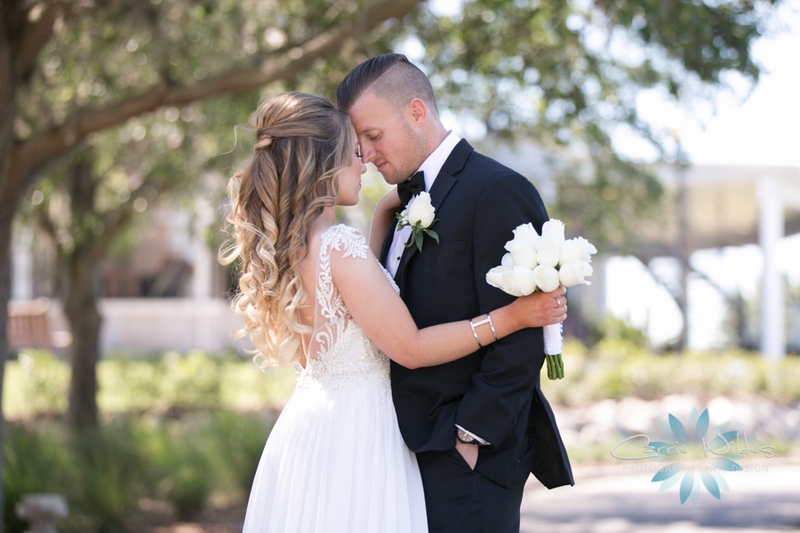 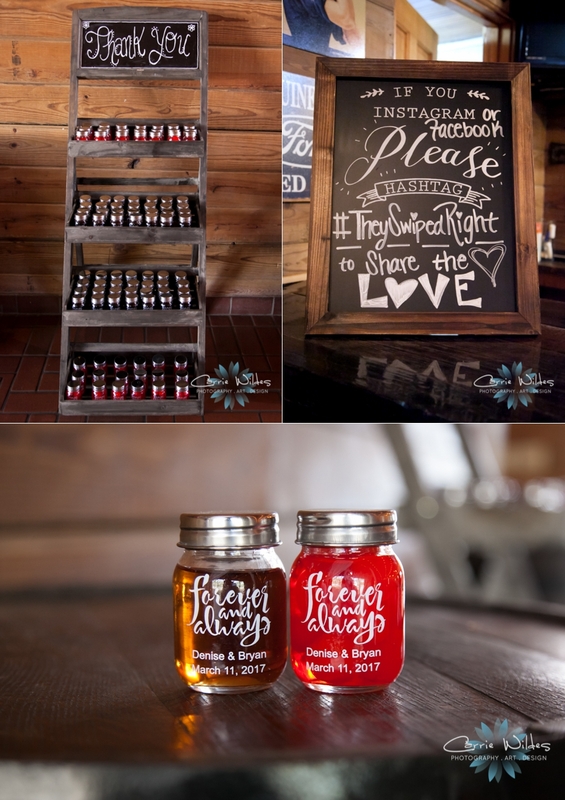 We are so excited that Wedding Lovely featured them!! 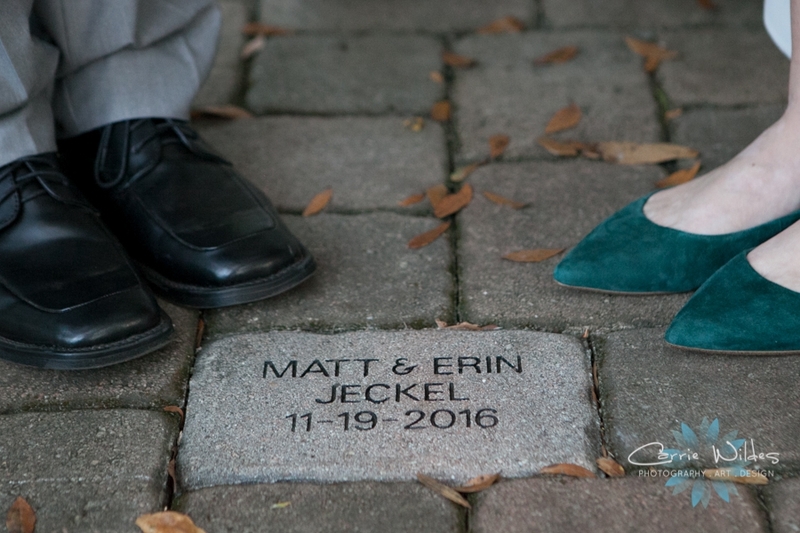 Stop on by their blog to see the whole feature! 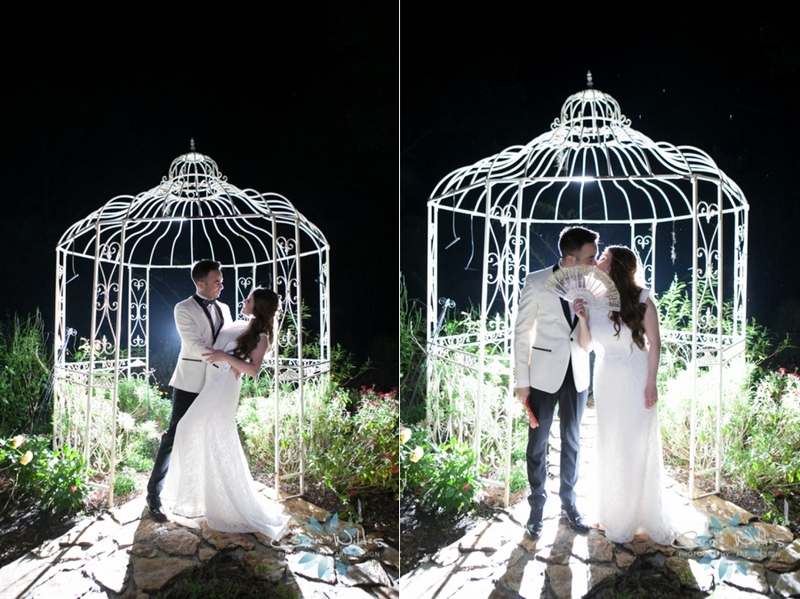 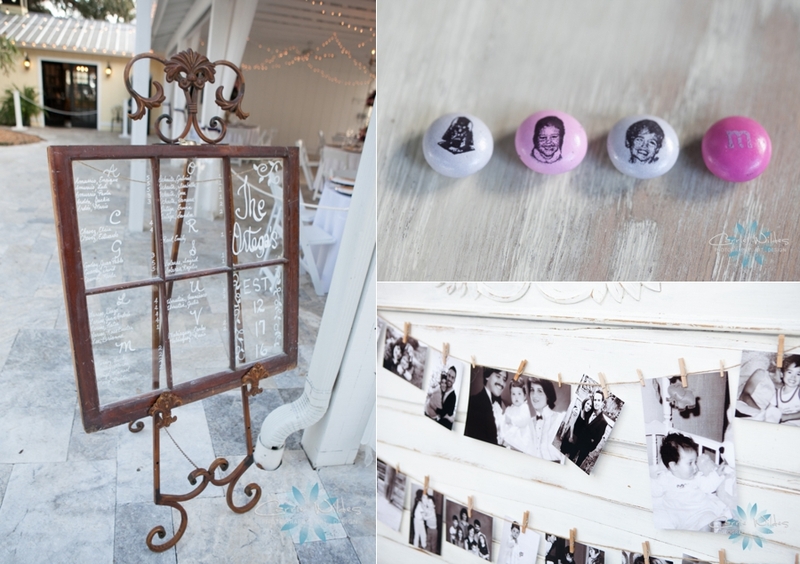 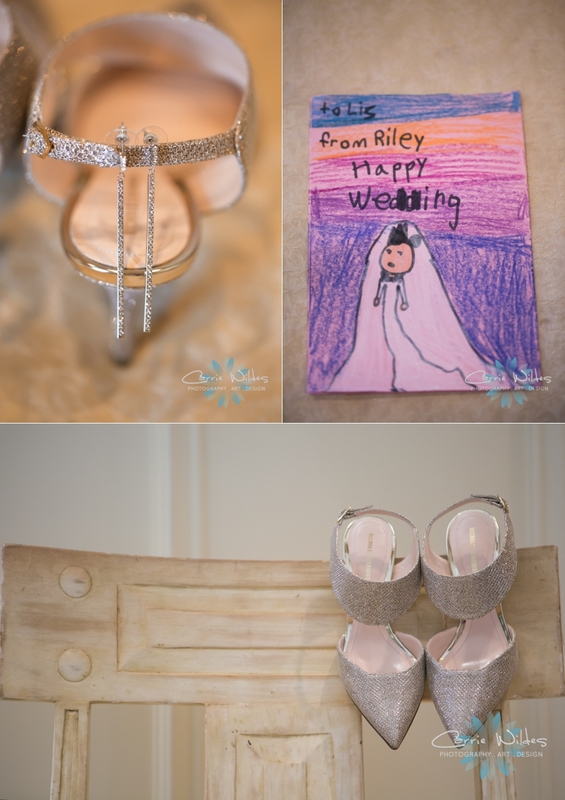 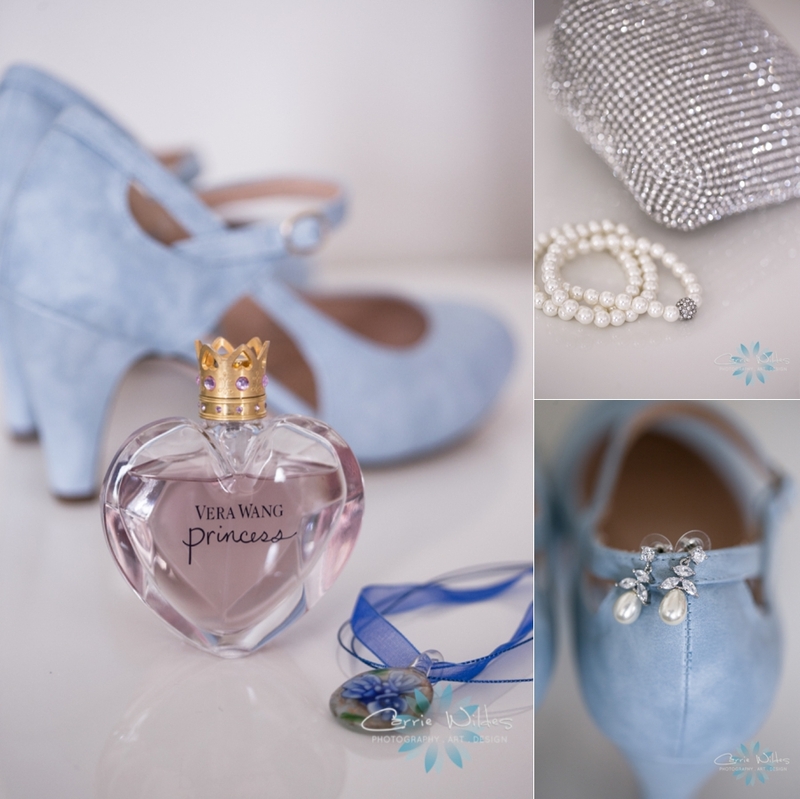 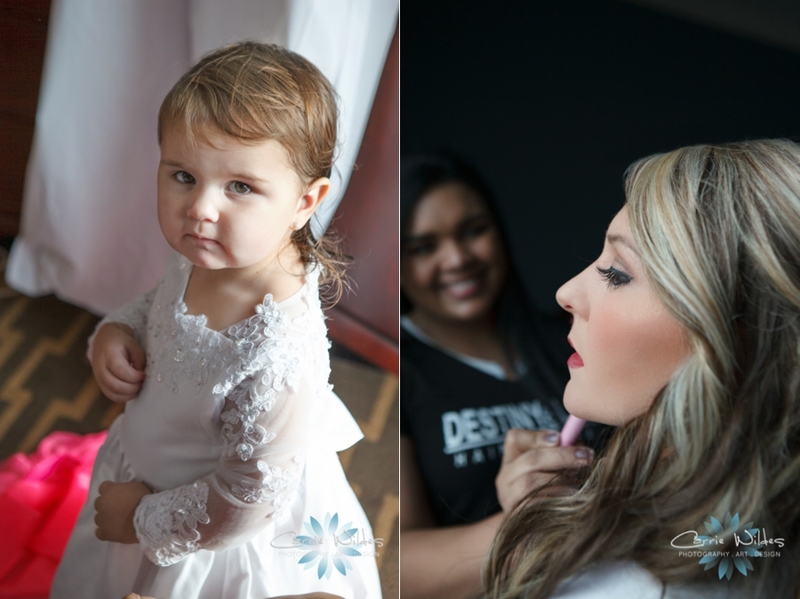 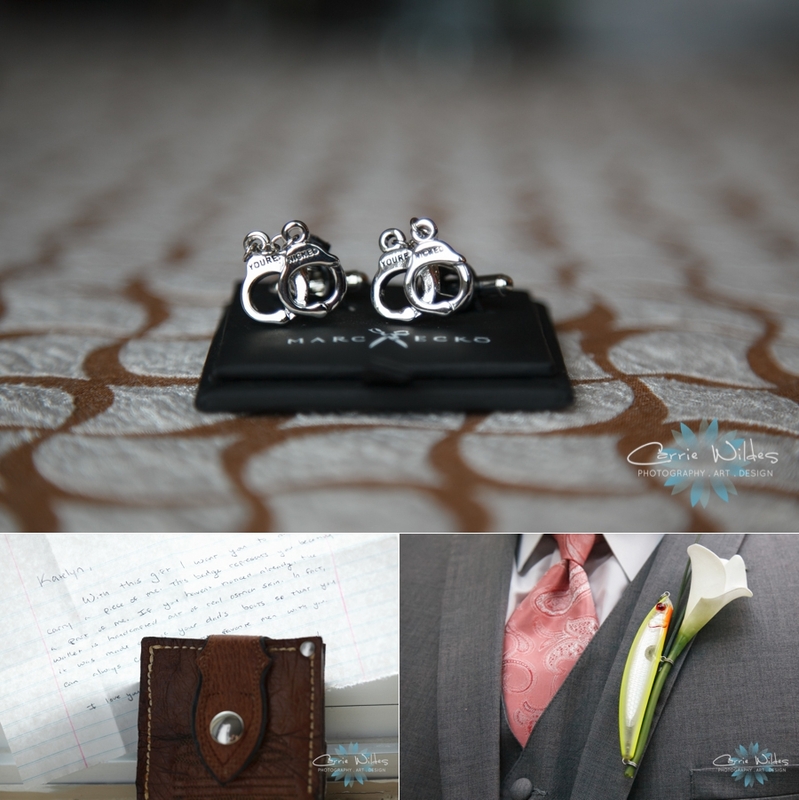 Katy and Greg's morning wedding full of fabulous details is featured on Carats & Confetti's blog!! 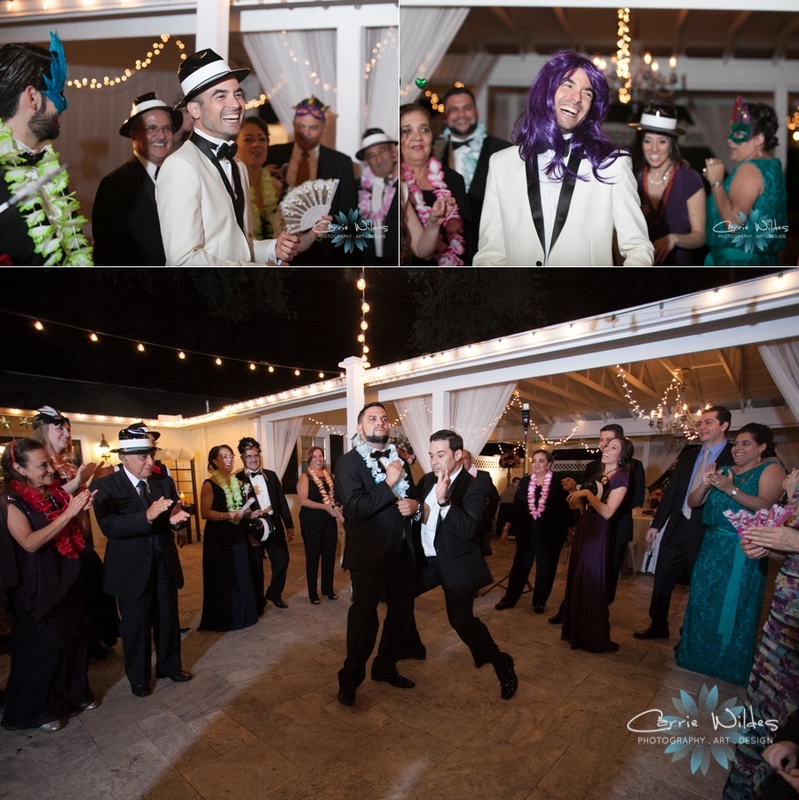 Mimosa & Bloody Mary station, custom donuts, coffee bean accents, and our personal favorite, "Eat Cake for Breakfast", we love everything out this! 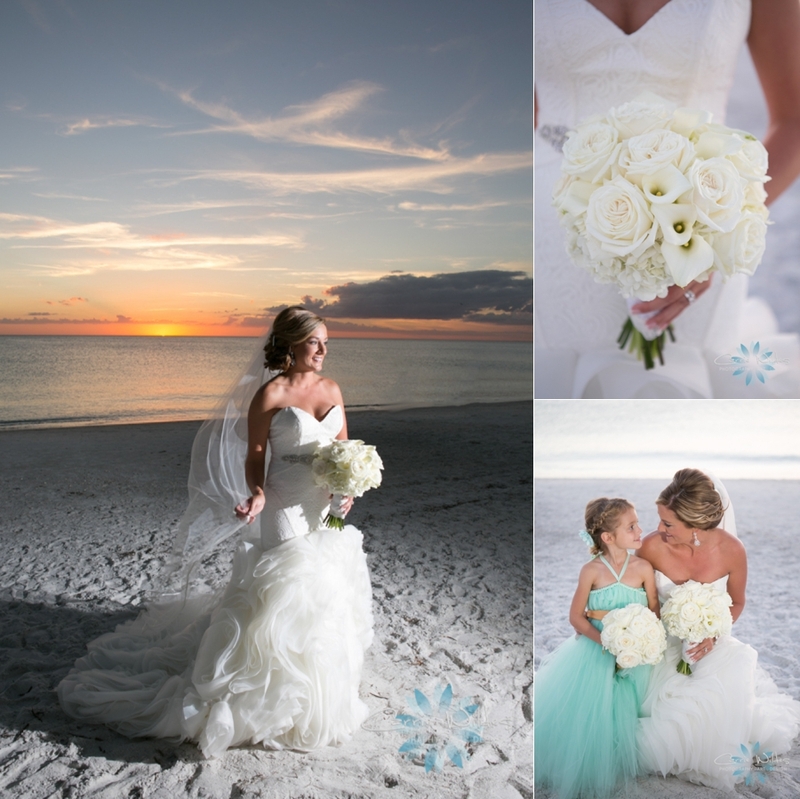 Stop by Carats & Confetti to see all the prettiness! 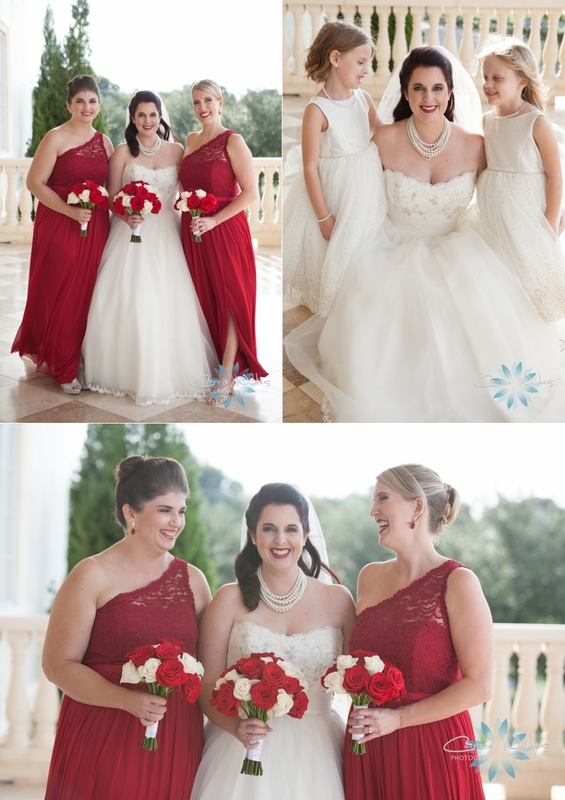 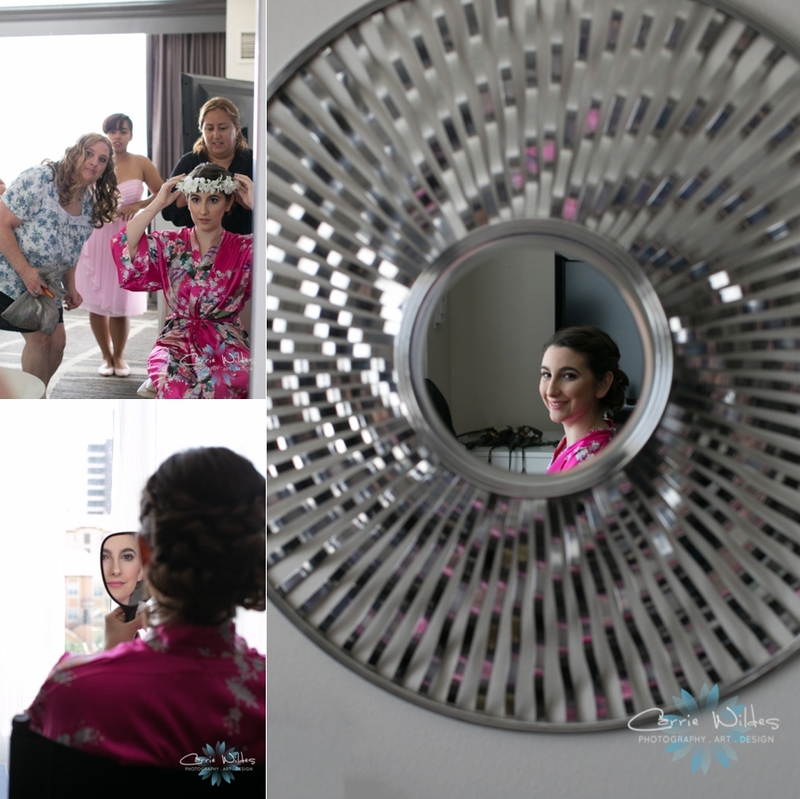 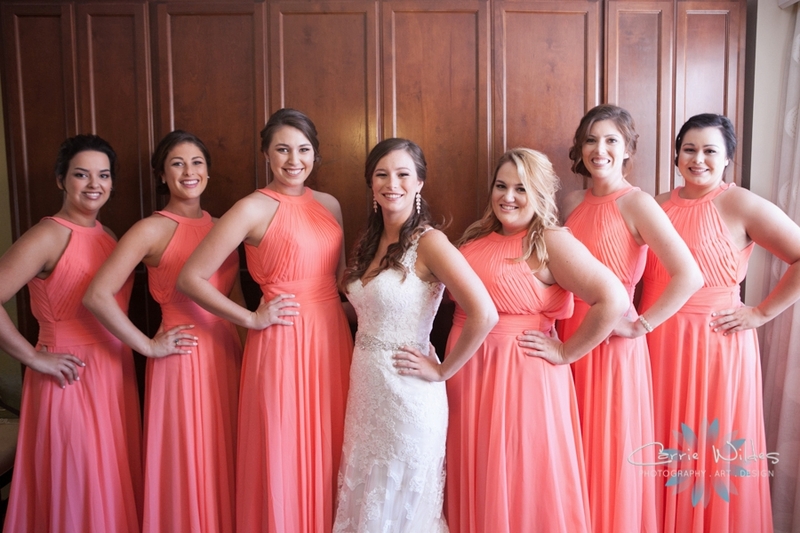 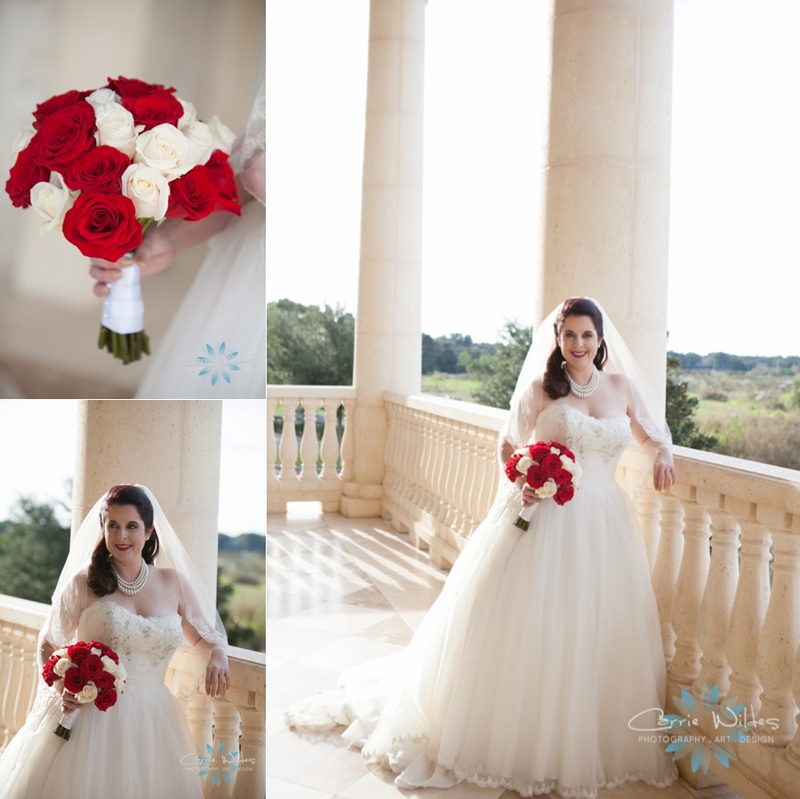 Jessica and Marc's elegant Vinoy wedding complete with that gorgeous gown, coral, gold, and so much prettiness is featured on My Hotel Wedding Day!! 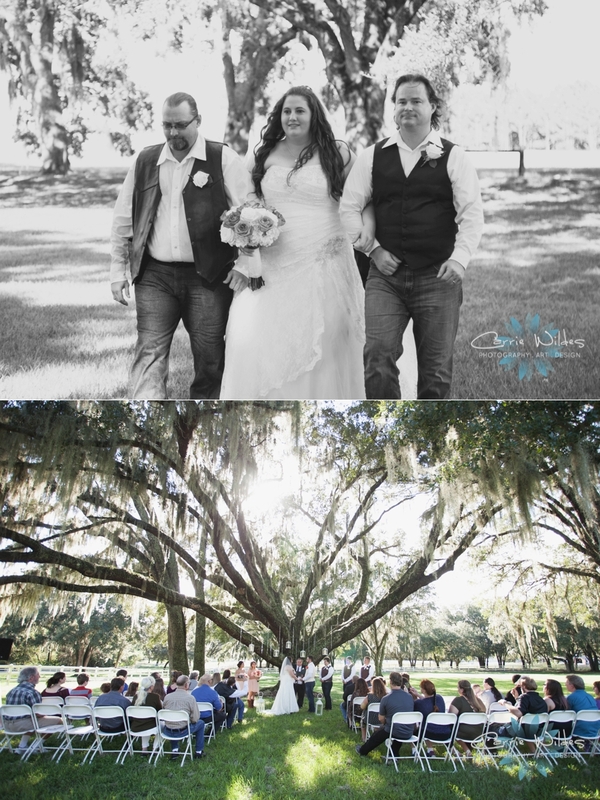 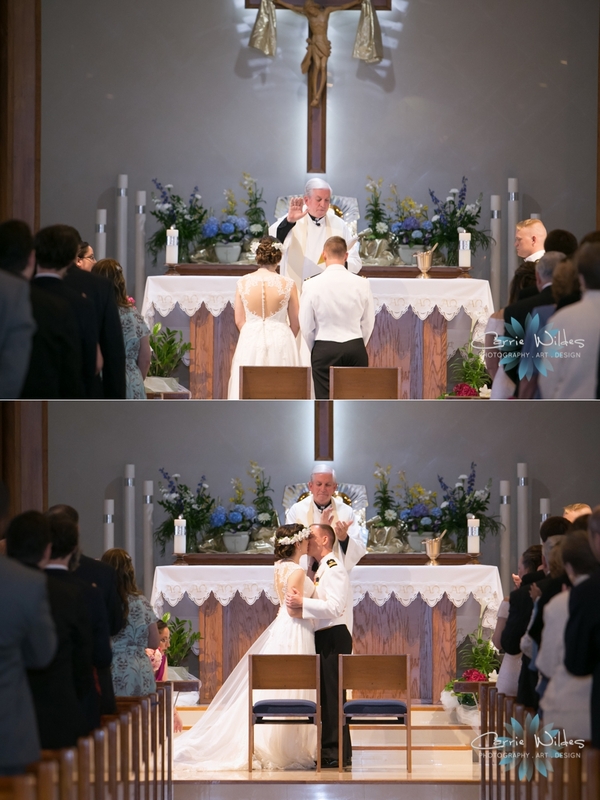 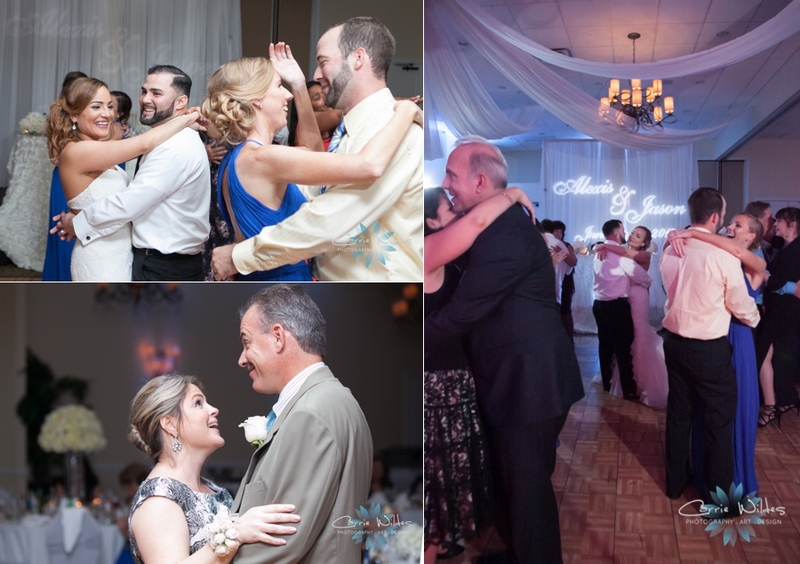 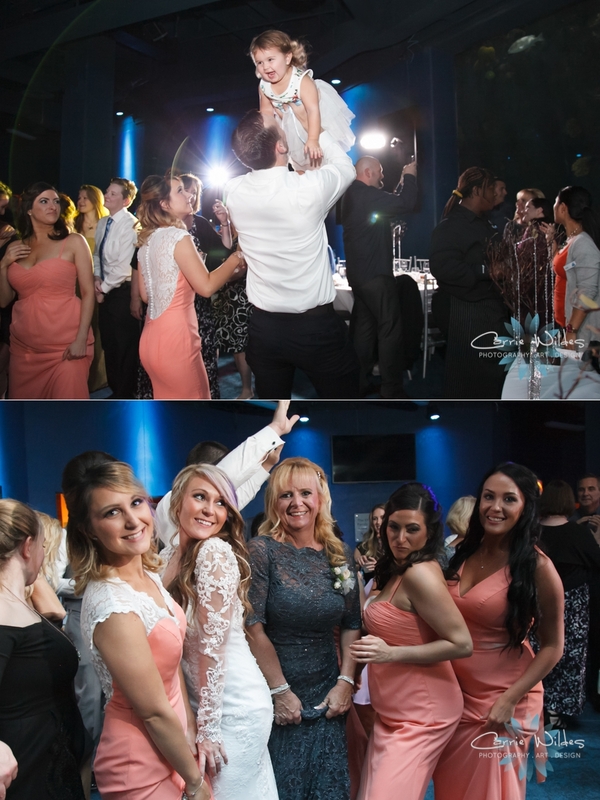 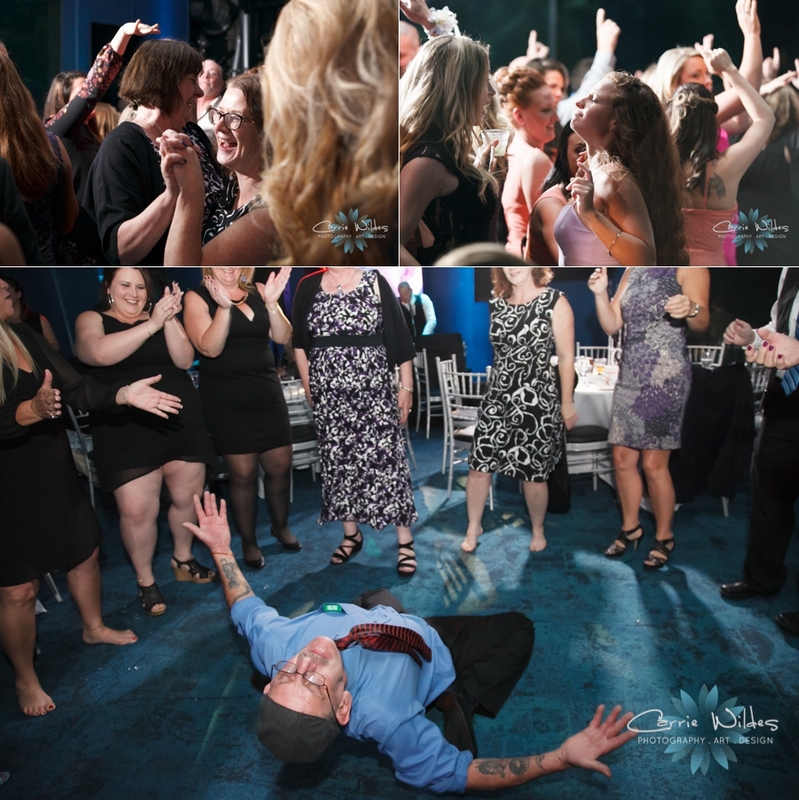 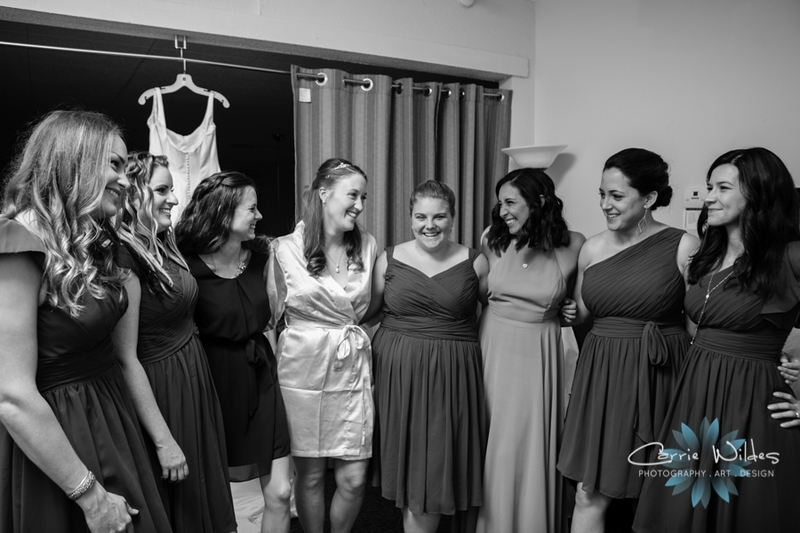 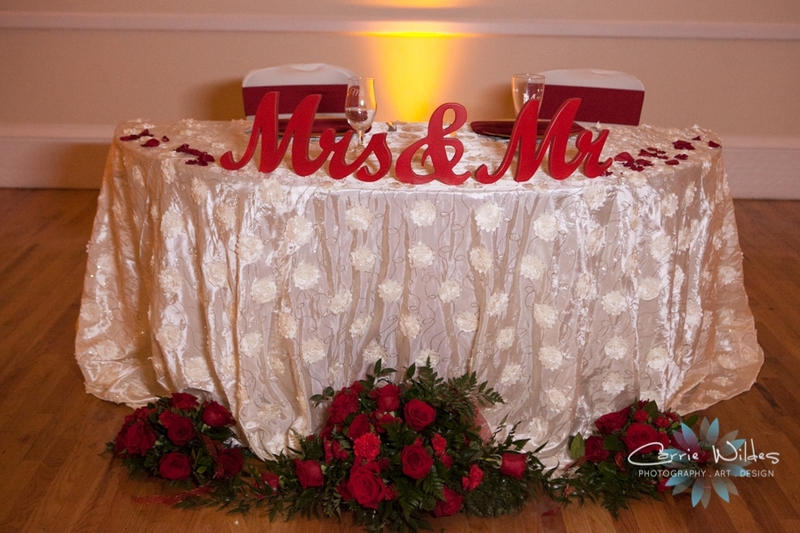 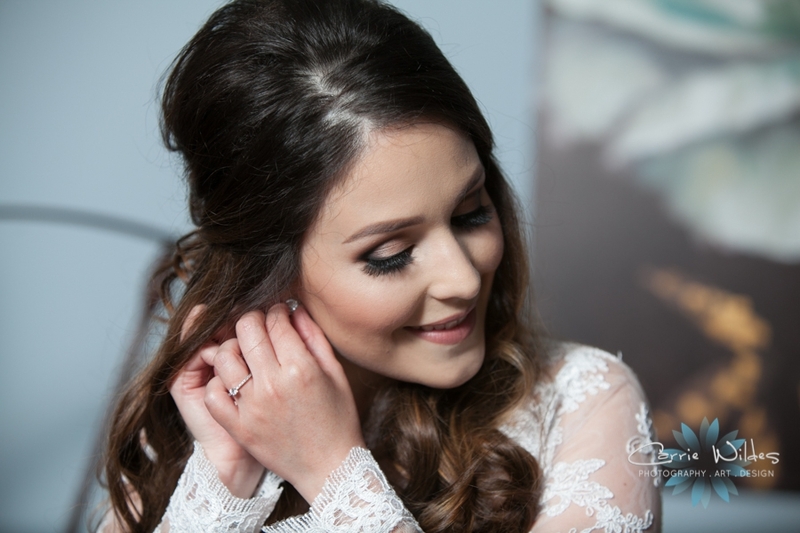 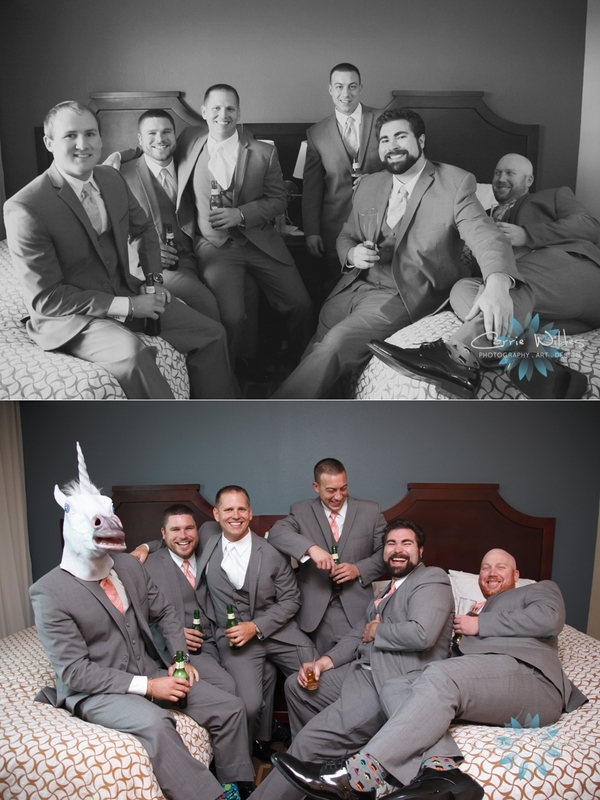 We so love getting our couples wedding days featured!! 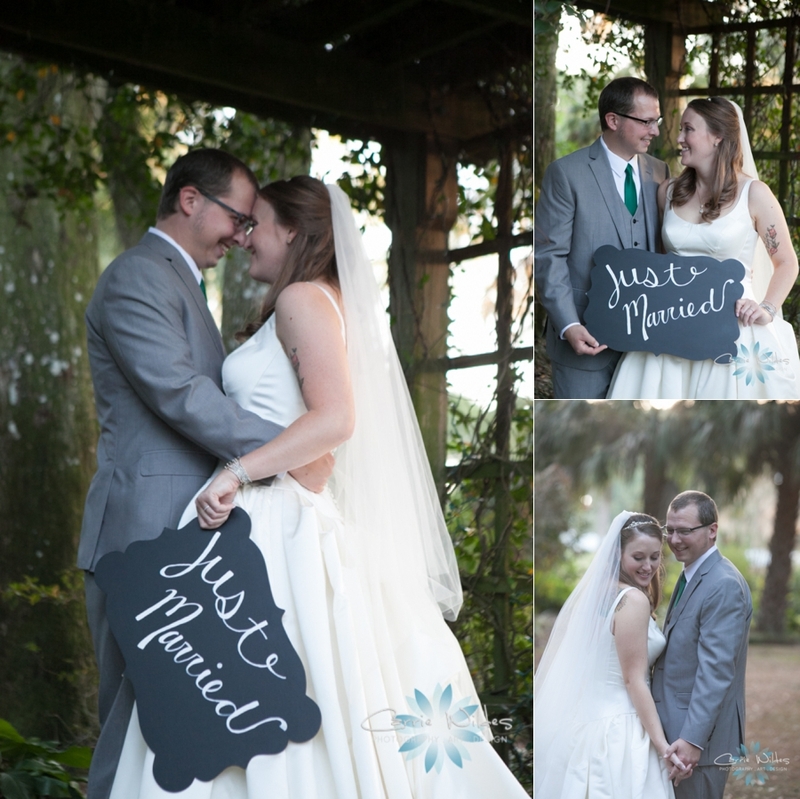 Stop on by to see the full feature on their blog! 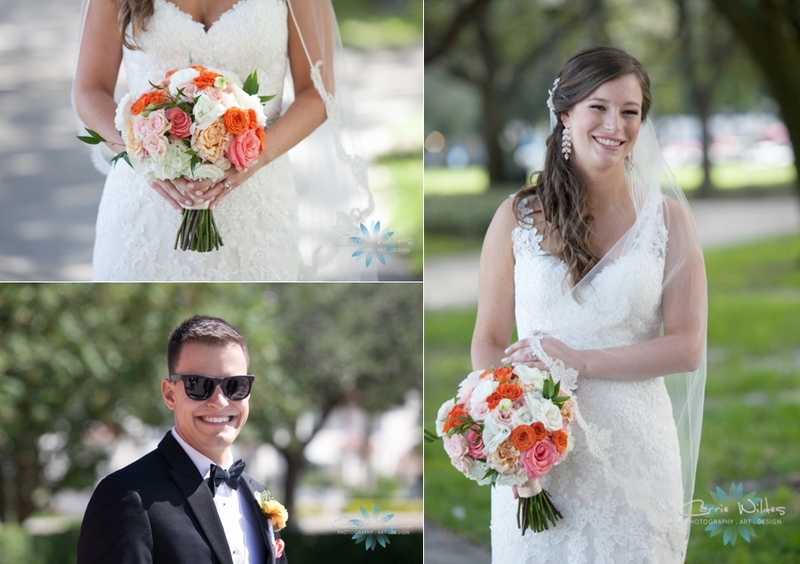 Katelyn & Brandon Featured on Borrowed and Blue! 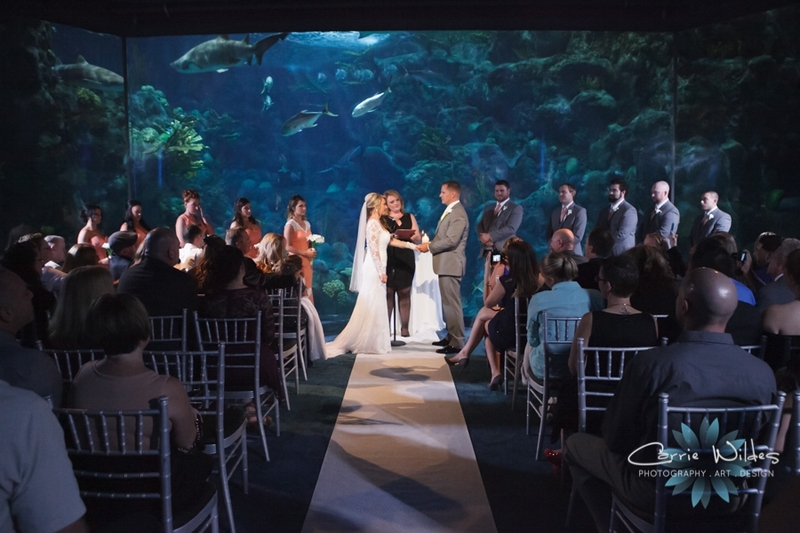 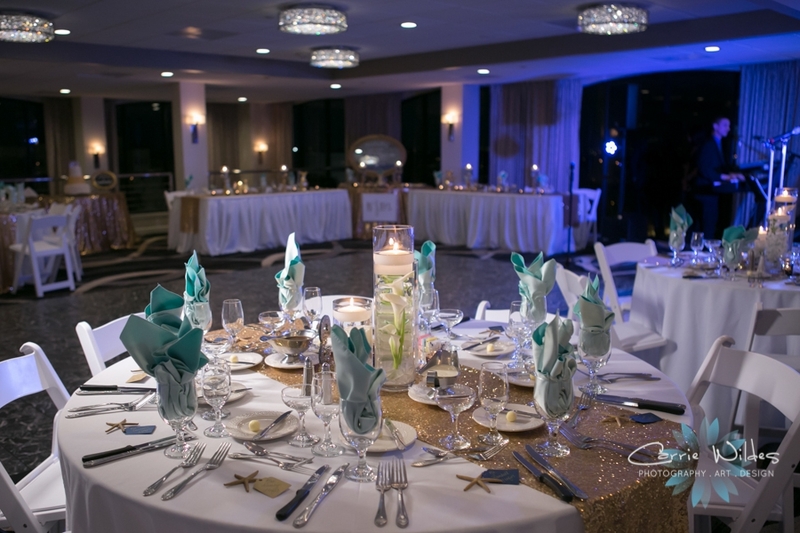 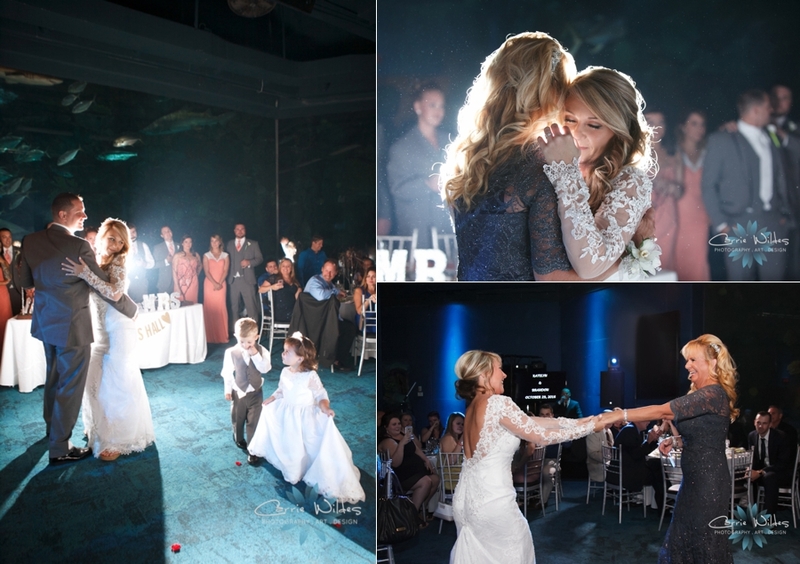 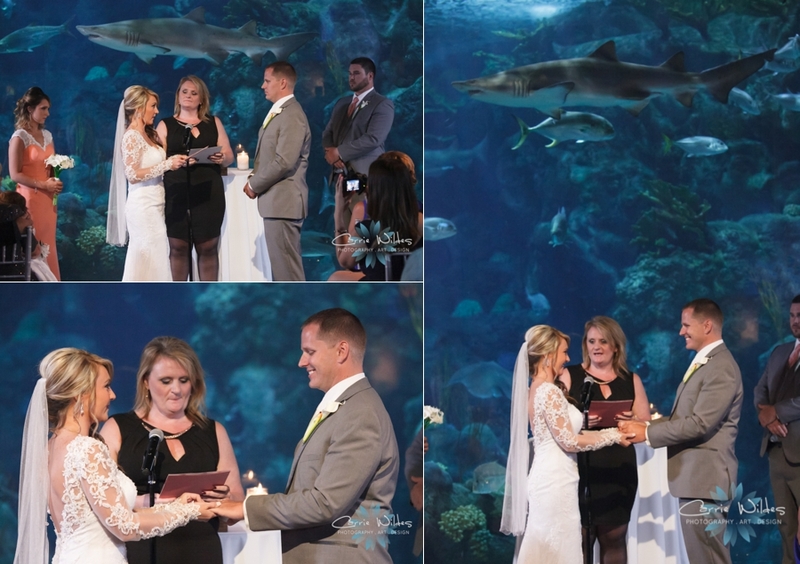 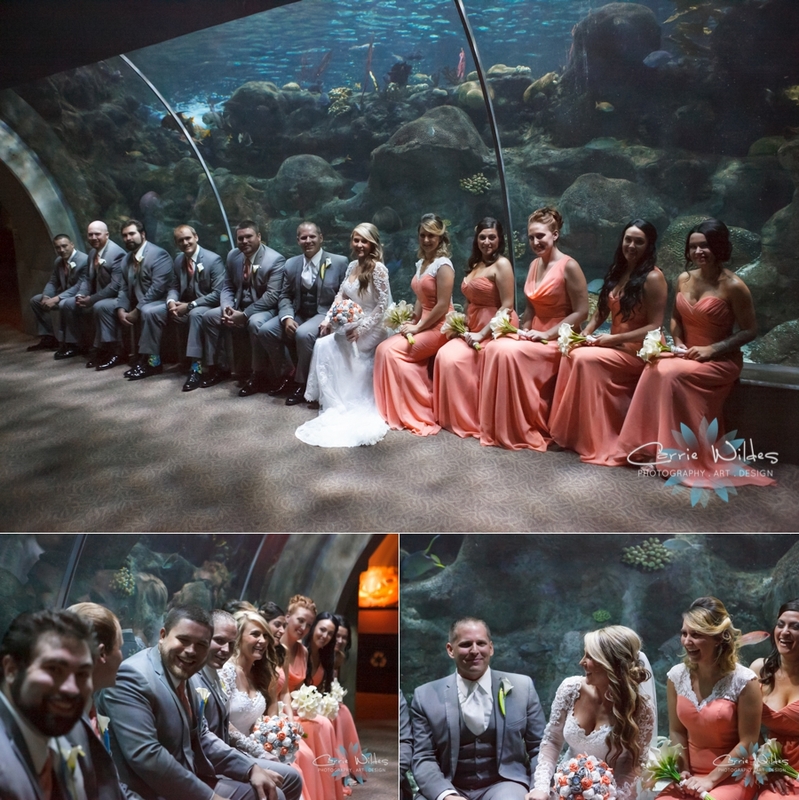 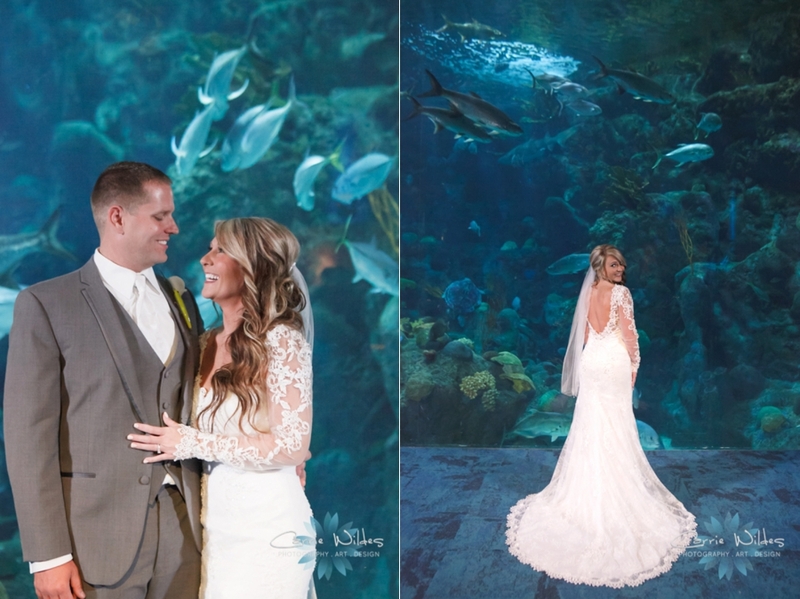 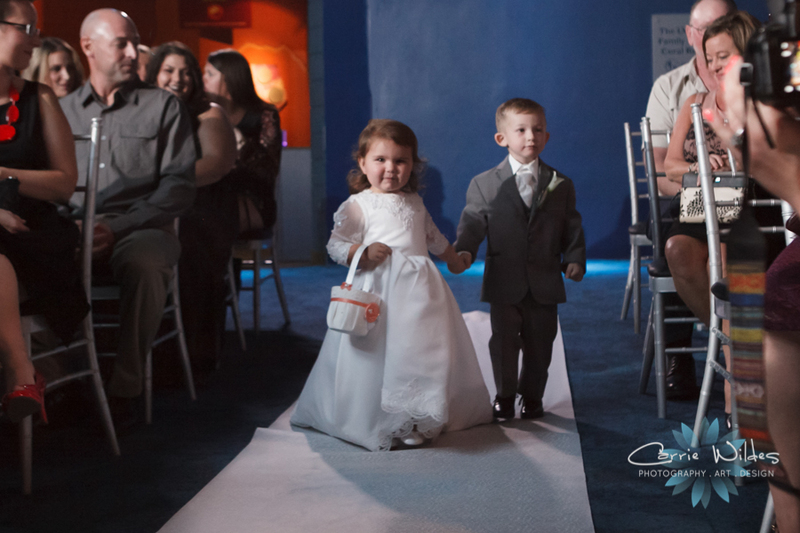 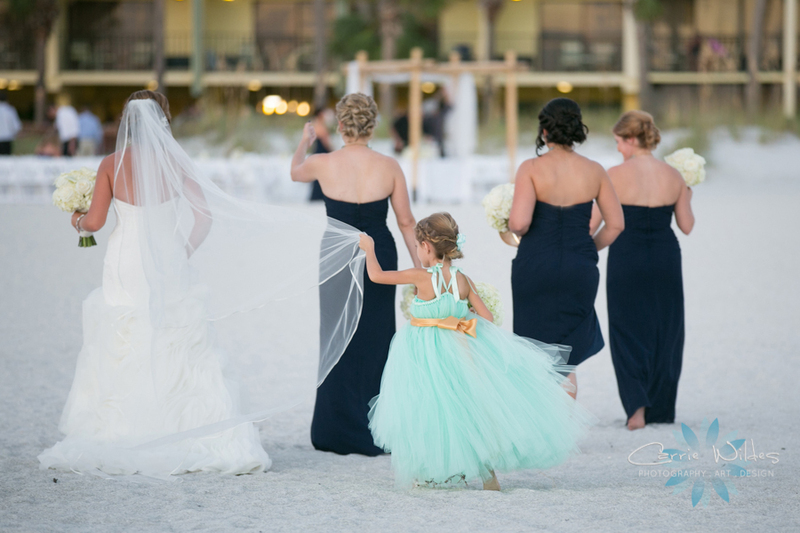 We are so excited that Katelyn & Brandon's beautiful Florida Aquarium wedding is featured on Borrowed and Blue's wedding blog and it's Katelyn's birthday today!! 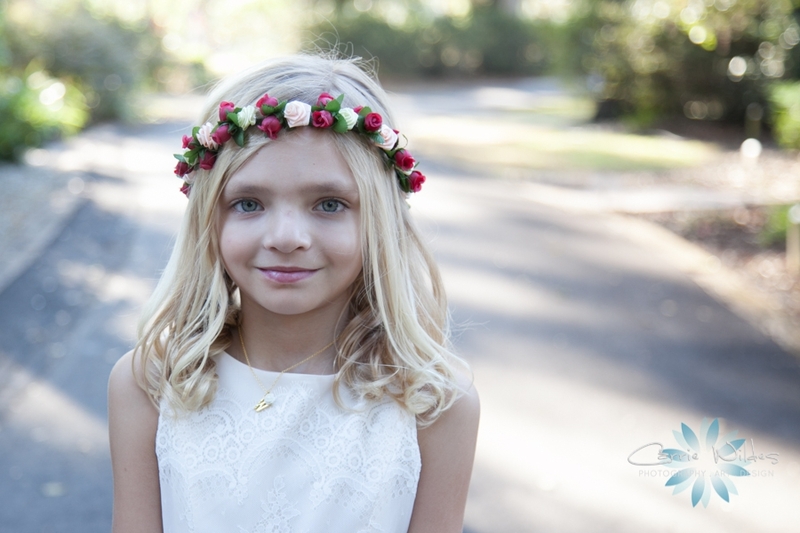 Happy Birthday pretty lady!! 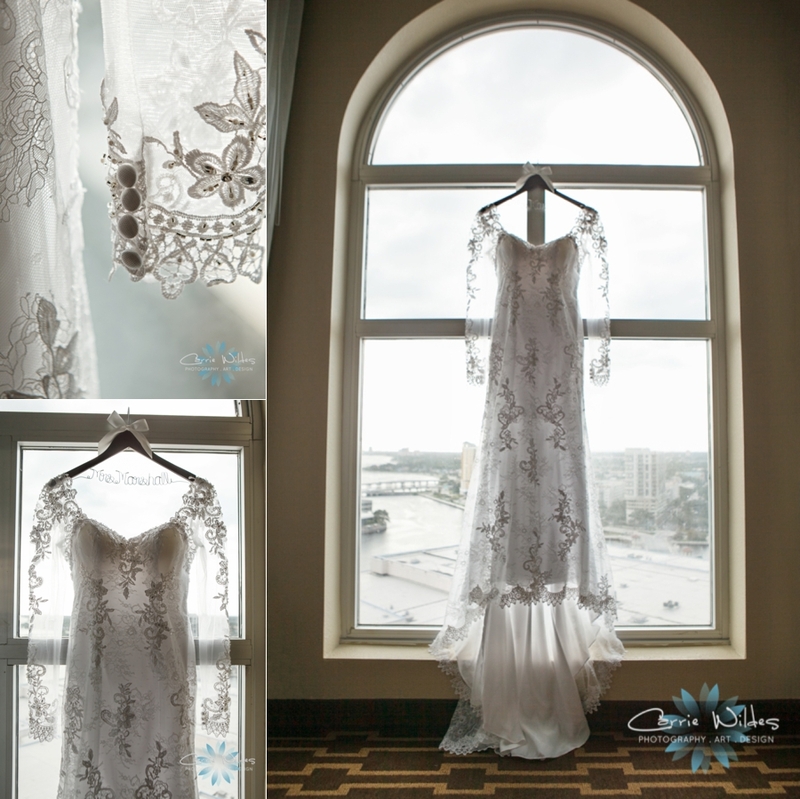 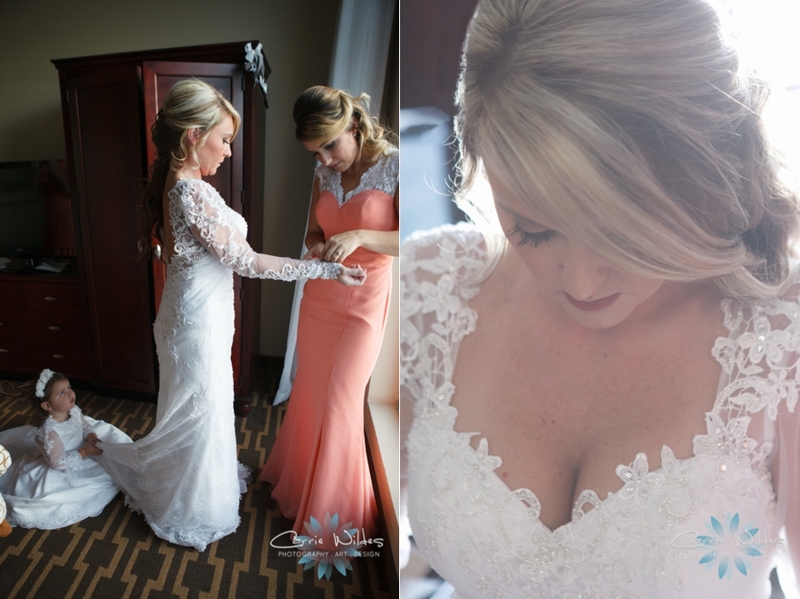 Katelyn's gown is one of our favorites the lace detail and backing was just stunning. 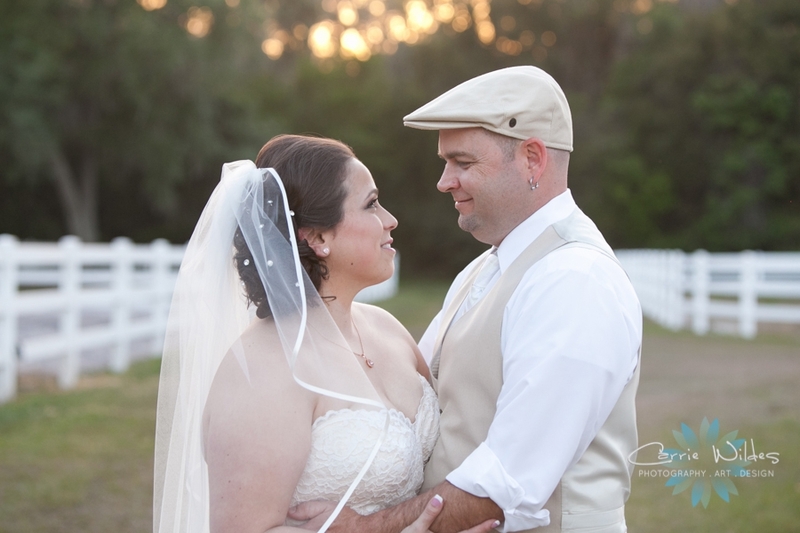 Click below to see the whole feature on their blog! 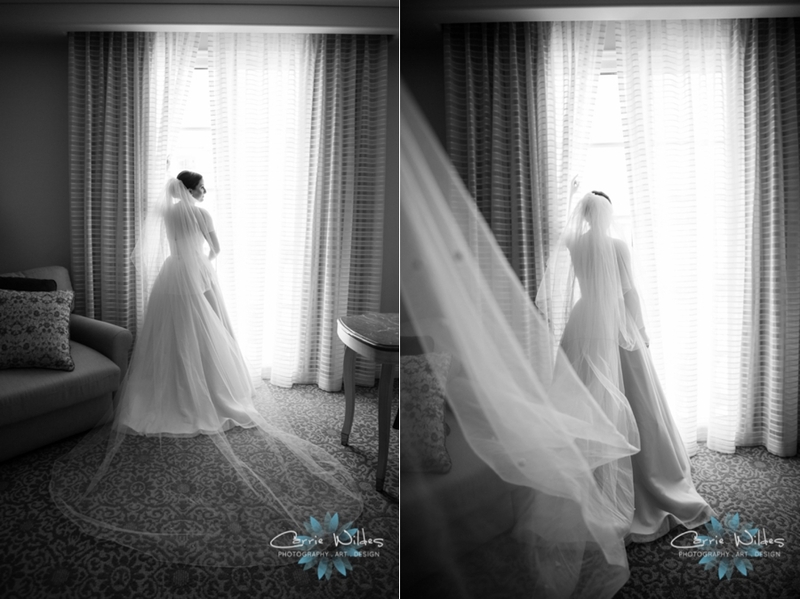 Lu wore 3 gorgeous gowns on her wedding day. 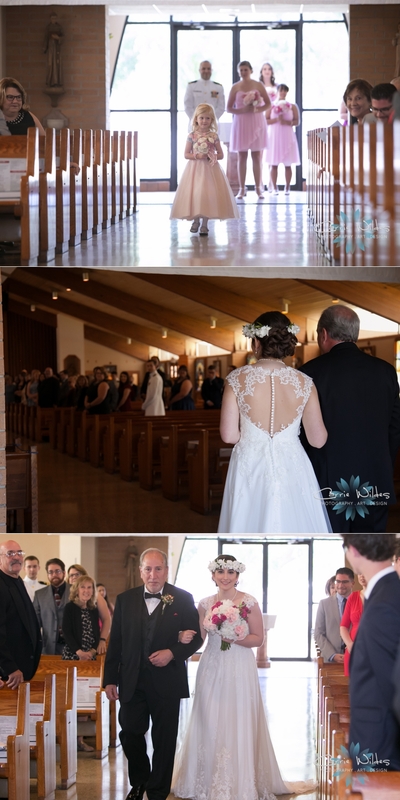 For the ceremony, she wore a lace sleeved gown with a long train and chapel length veil, with red platform sneakers underneath! 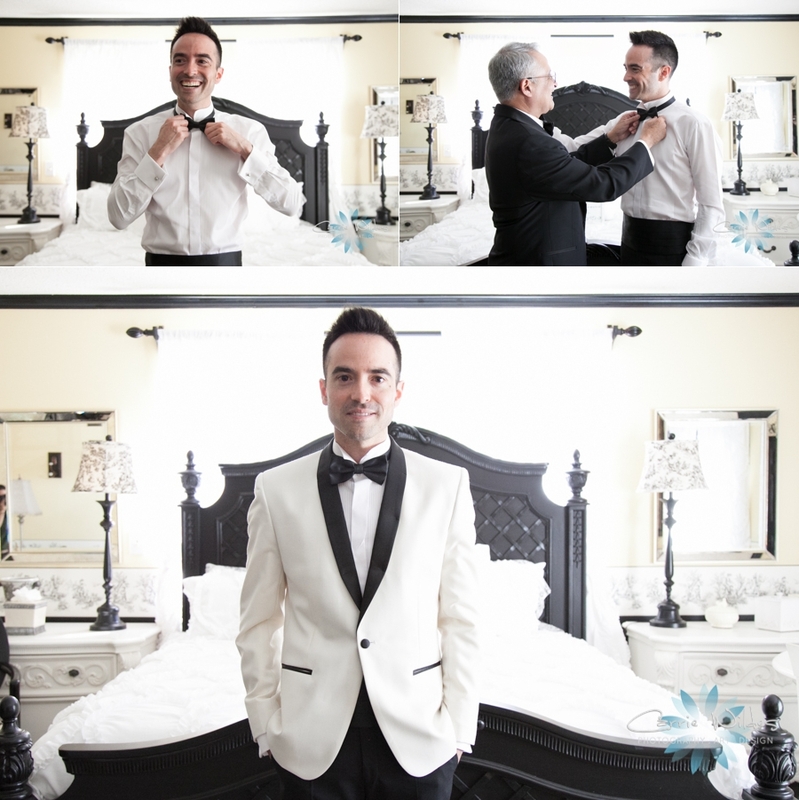 Alex was in a black tux with a white jacket and bowtie, so handsome! 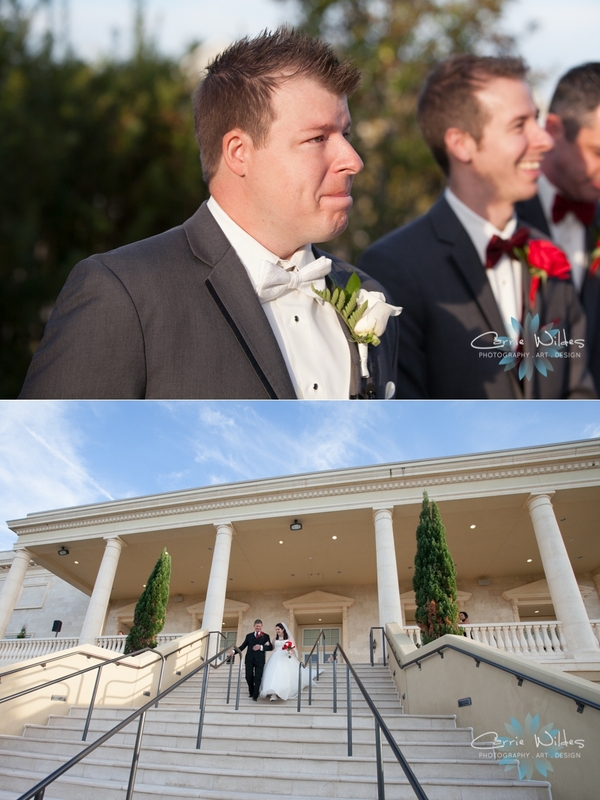 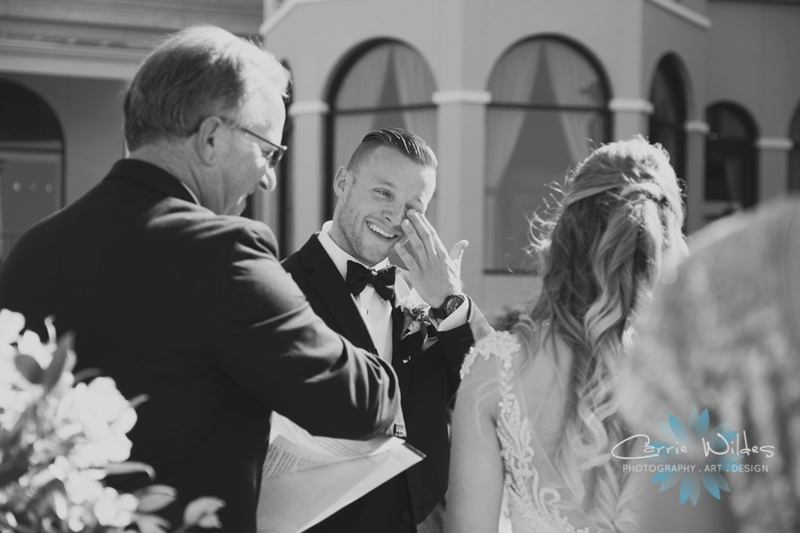 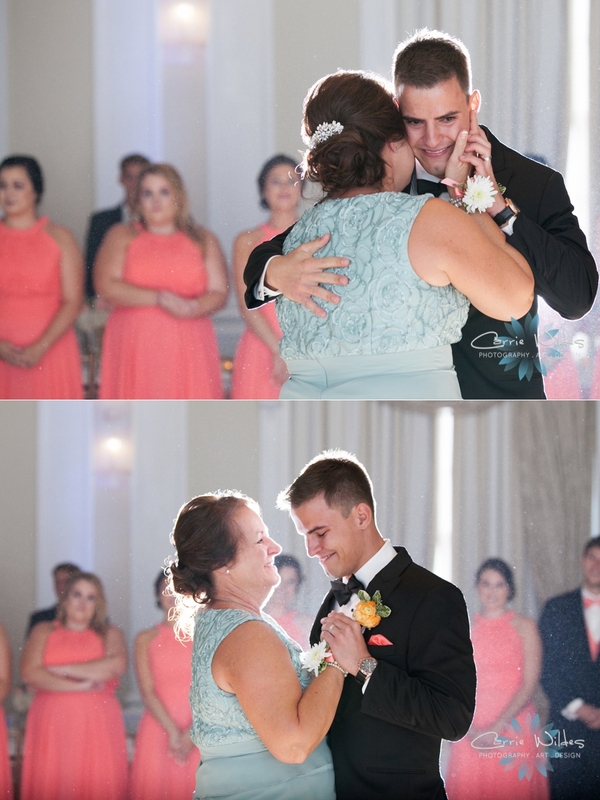 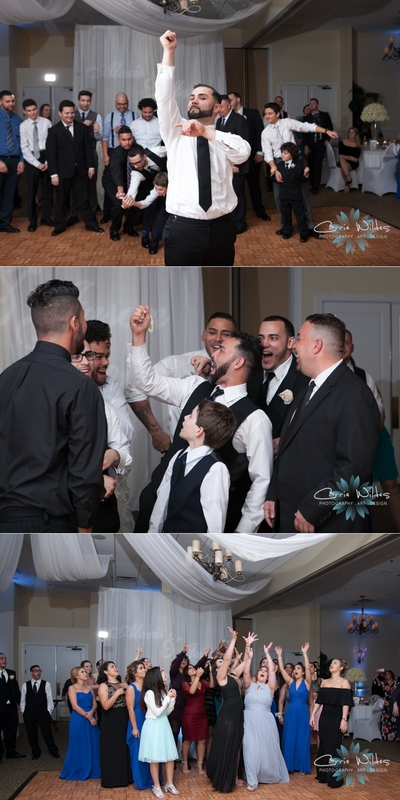 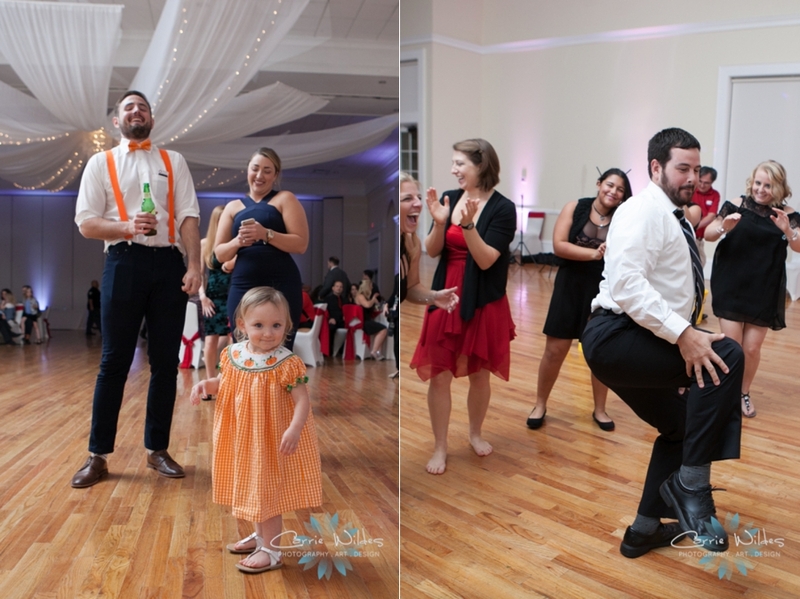 He had pure joy on his face as he saw Lu being escorted down the aisle by her brother. 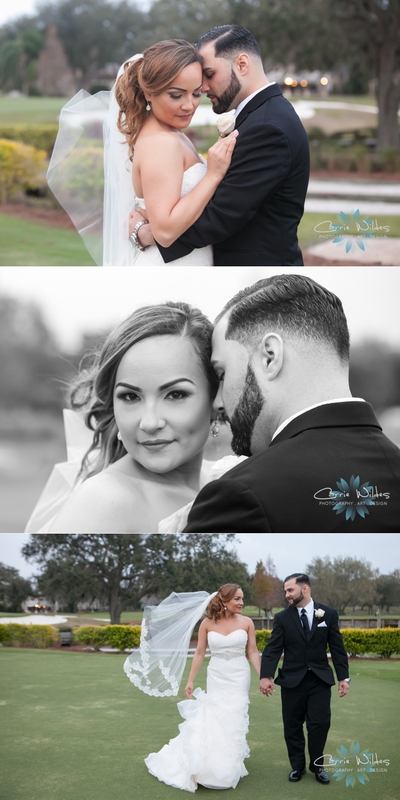 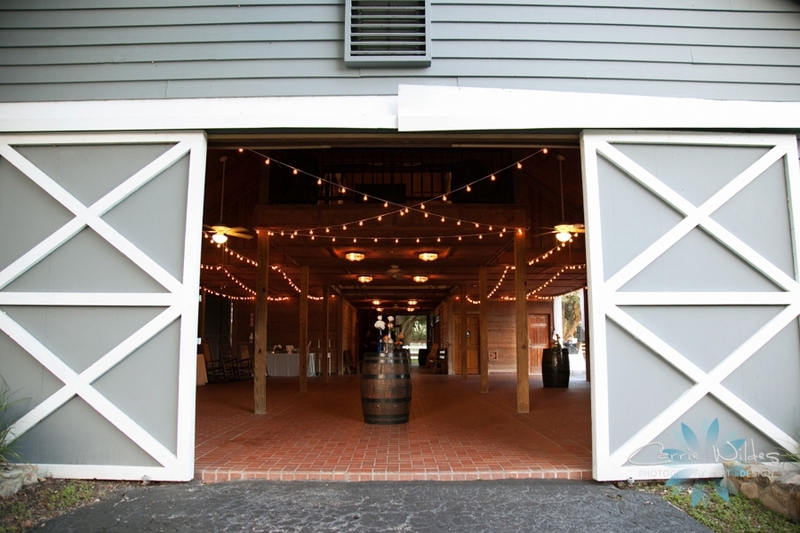 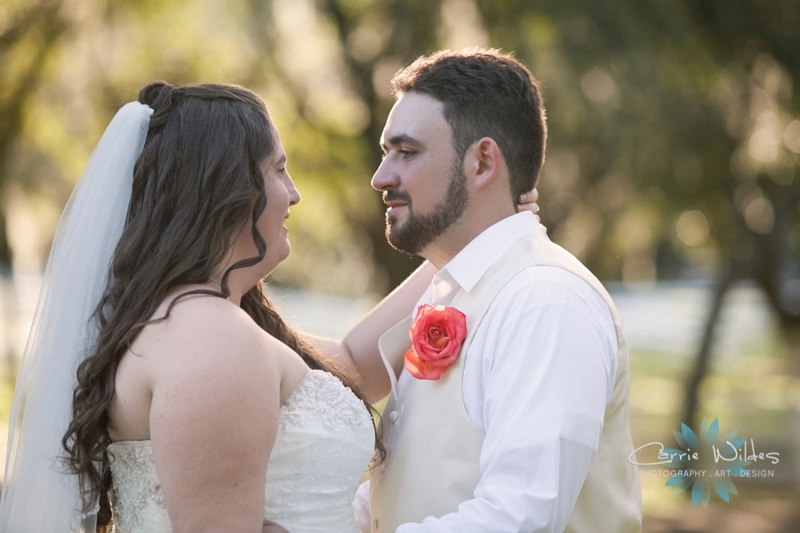 They had the perfect December day for their outdoor ceremony and reception at Cross Creek Ranch. 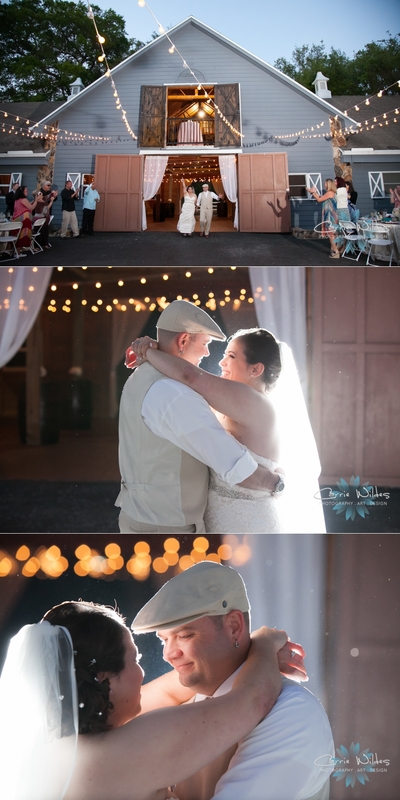 The patio was draped in lights with gold, pink, and wine accents. 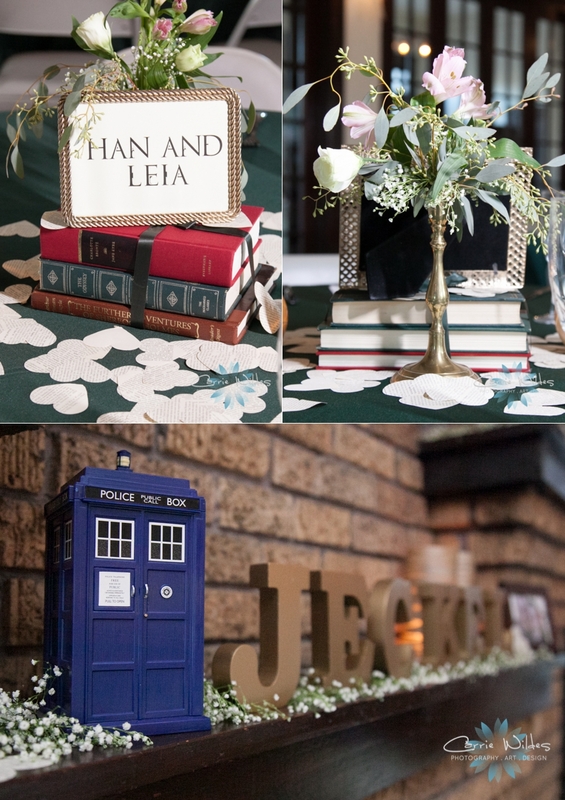 They included subtle hints of 2 of their favorite things, a little spider man was peeking out from under the cake and their M&M had their photos as kids and a Darth Vader! 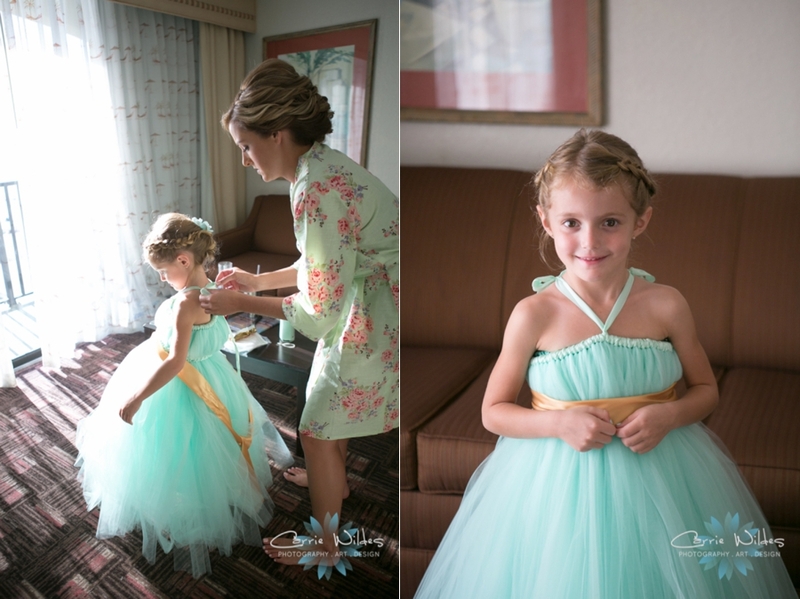 Lu changed into a lace party dress for the reception that was totally for dancing. 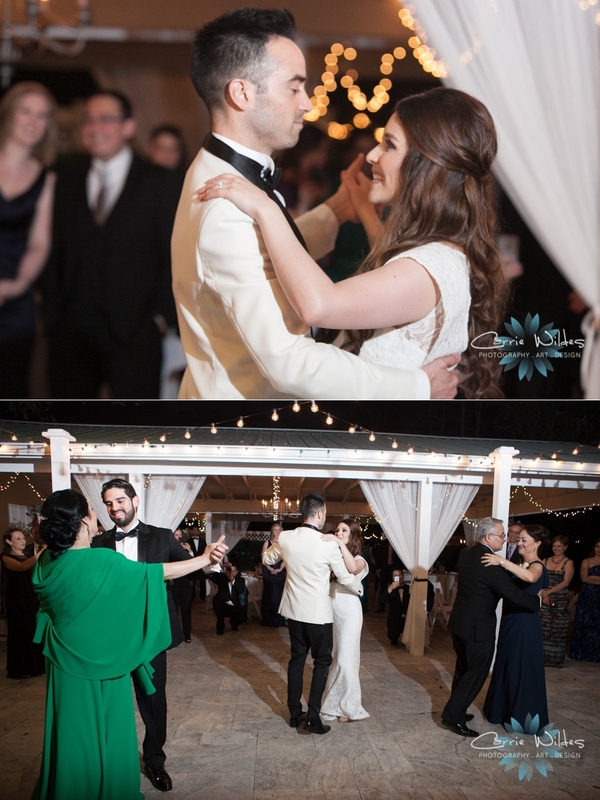 Later in the evening they snuck out and Lu changed into her 3rd outfit for a fabulous surprise Tango! 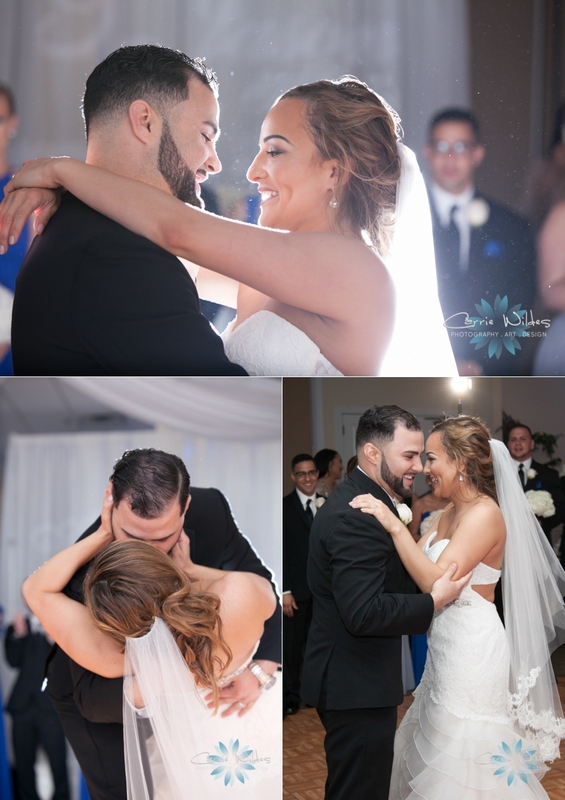 So many amazing moments, thank you Lu and Alex for having us be a part of it!! 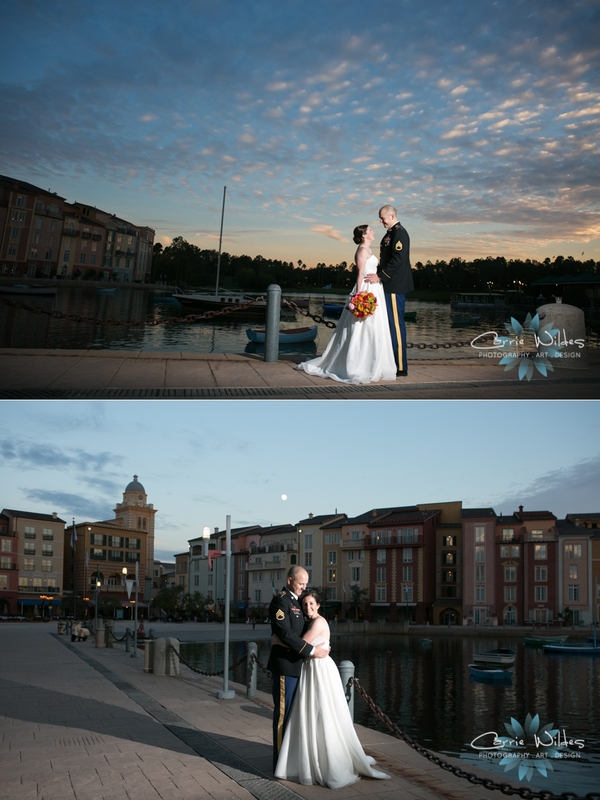 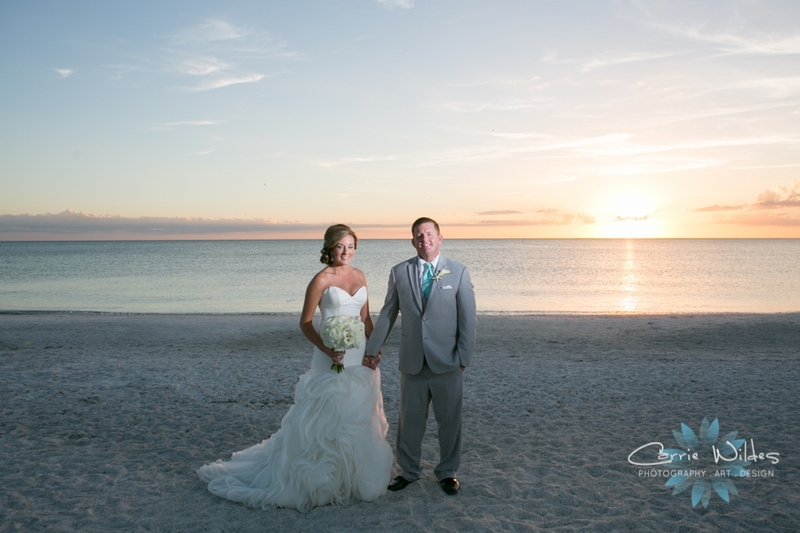 Ramsie & Chris had a gorgeous October evening and sunset for their beachfront wedding ceremony. 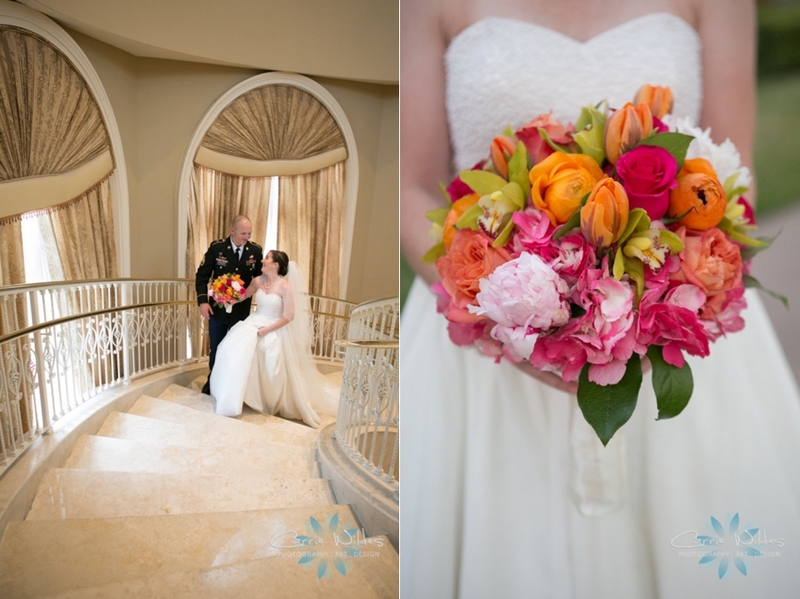 I LOVE the color palette Ramsie chose. 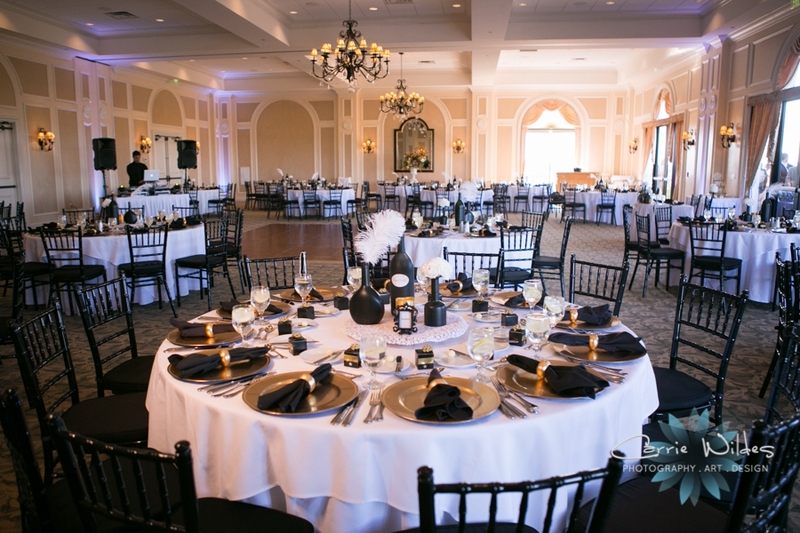 Mint, gold, and navy grey, white, and starfish accents. 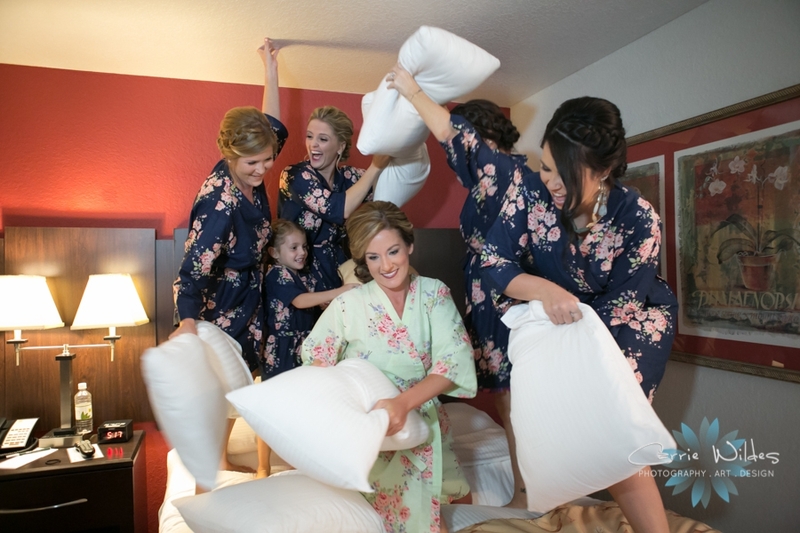 While the girls were getting hair and makeup done they were joking about having a pillow fight while jumping on the bed so we had to do it:-) Chris' two kids, Maya and Miles were the flower girl and ring bearer and they took their jobs very seriously and were so excited to be a part of everything. 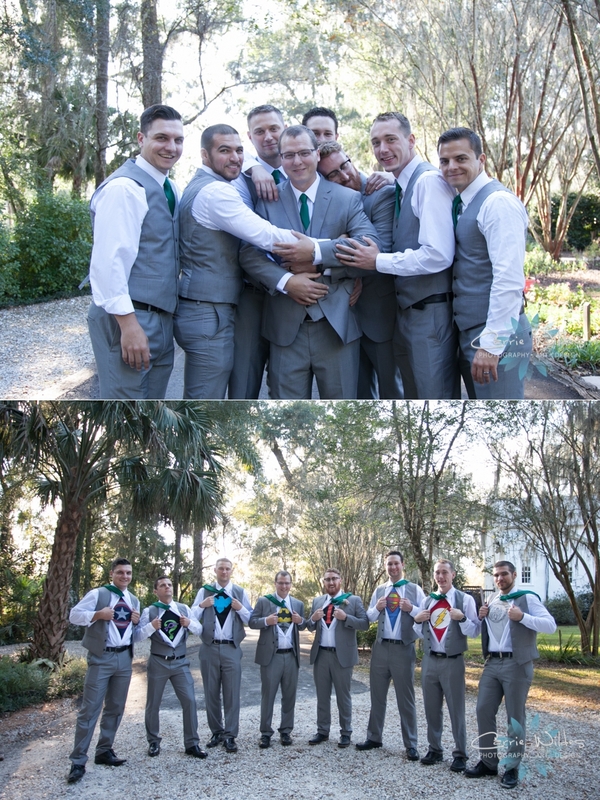 The bridesmaids wore navy with mint and gold necklaces which coordinated perfectly with the groomsmen in grey suits and mint ties. 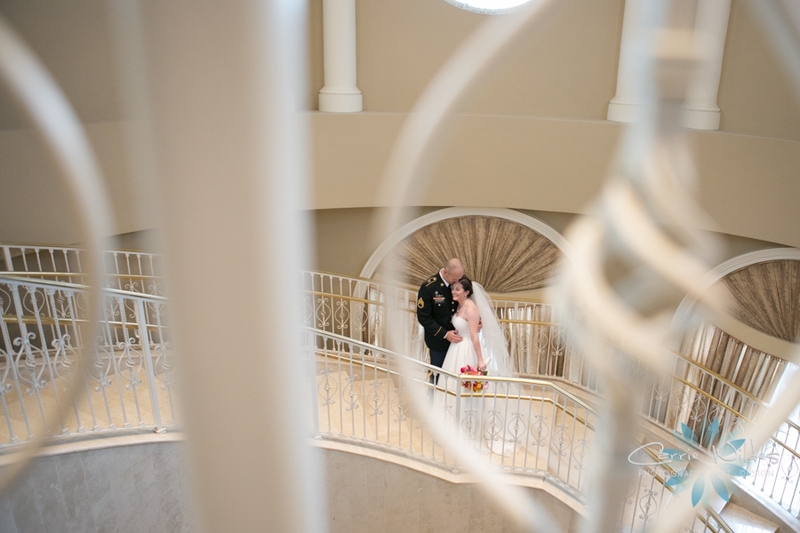 Their ceremony center piece was a bamboo arch with white draping and florals. 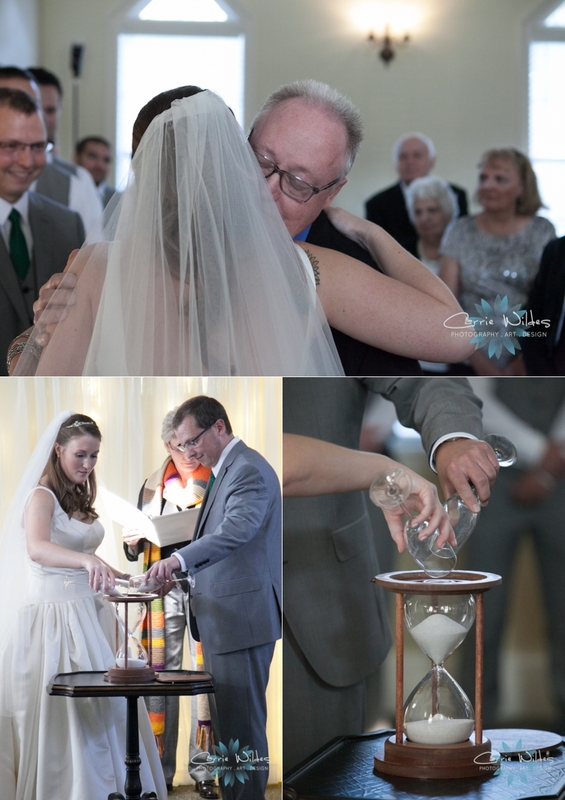 Their sand ceremony was as a family of 4 each pouring sand in an hourglass to keep in their home. 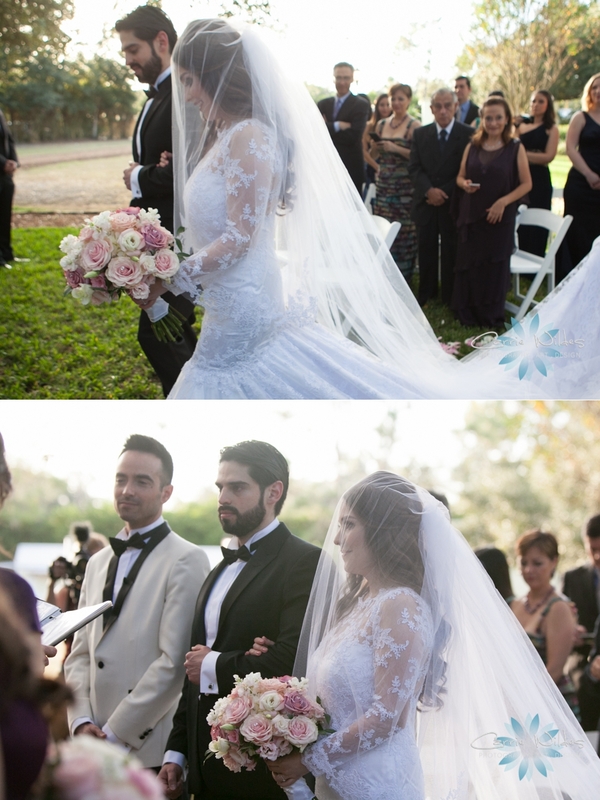 After Ramsie and Chris said their vows to each other, Ramsie also said vows to Maya and Miles. 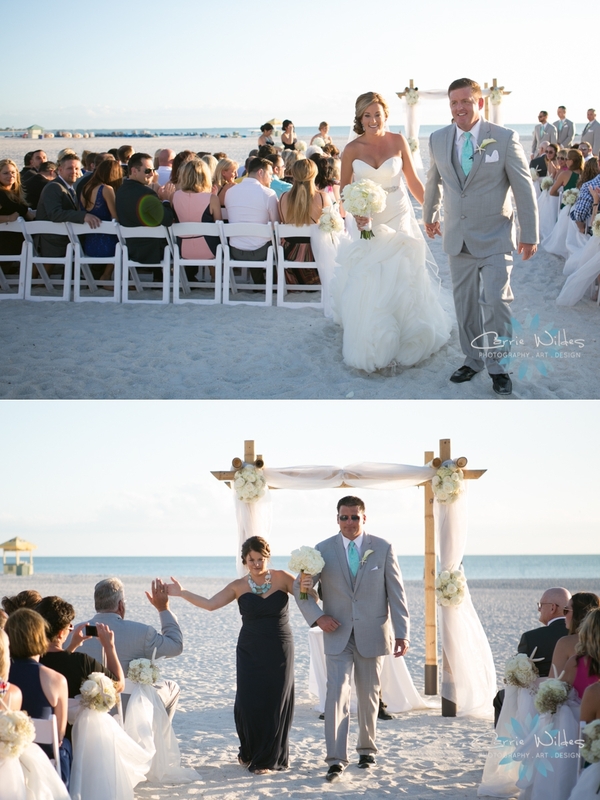 Their guests enjoyed cocktails in the beachfront pavilion while we took advantage of the sunset. 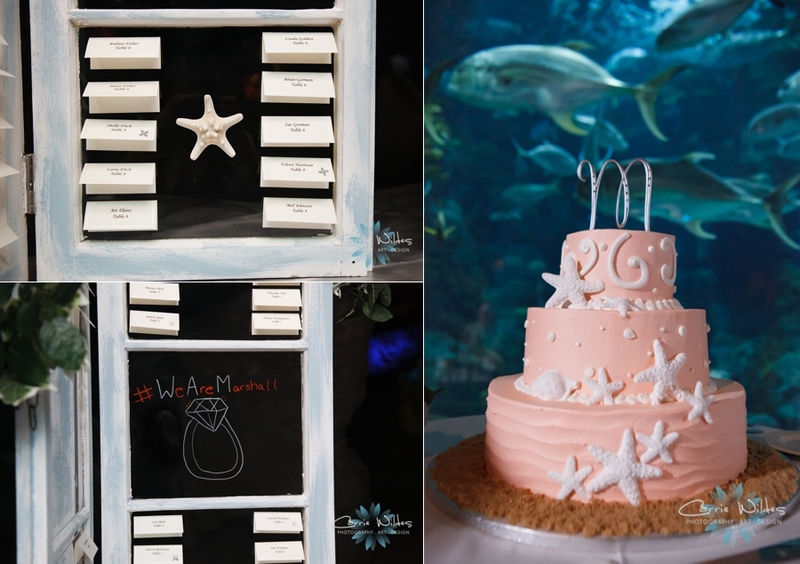 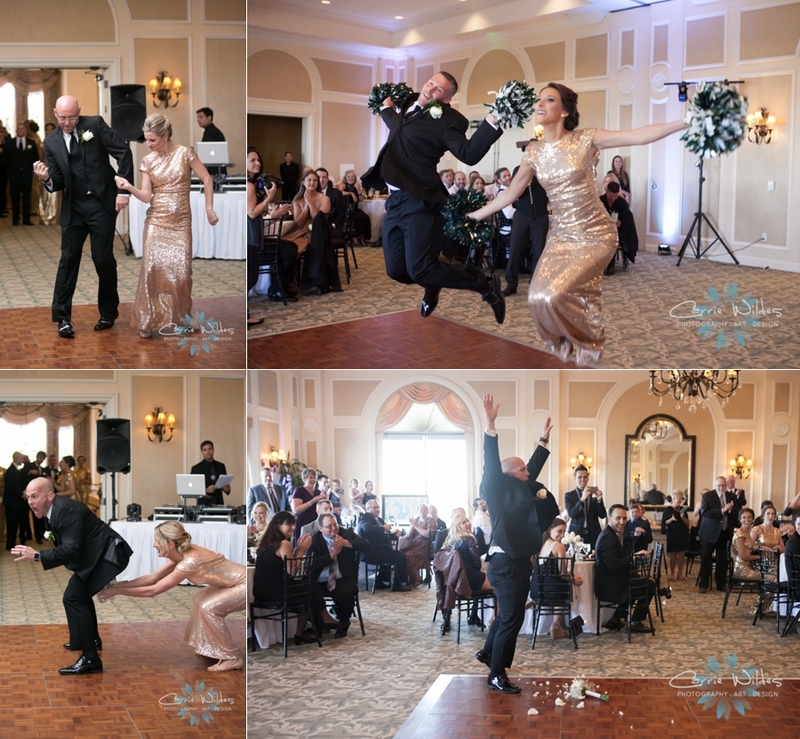 The reception was decorated with gold sequined runners, placards tied with starfish, creative signs on mirrors and chalkboards with gold frames and koozies with their wedding hashtag #swinkorswim. 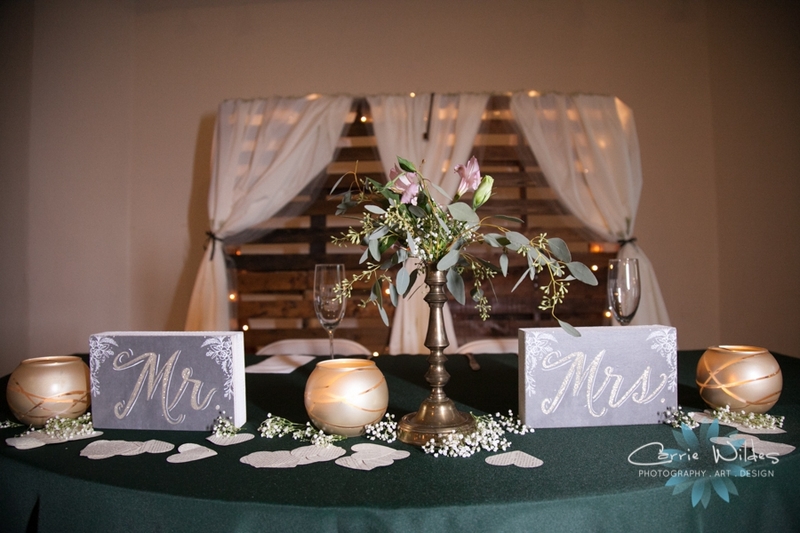 Ramsie even had a selfie station with fun props and selfing sticks for their guests to take a pic and add with their wedding hashtag. 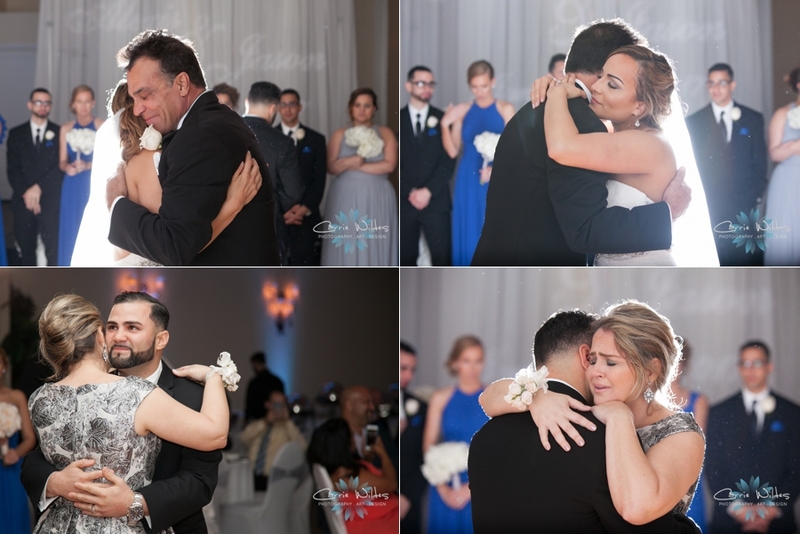 Ramsie's dad gave the sweetest toast where he had a gold baton with Ramsie's name on it that he handed officially handed off to Chris. 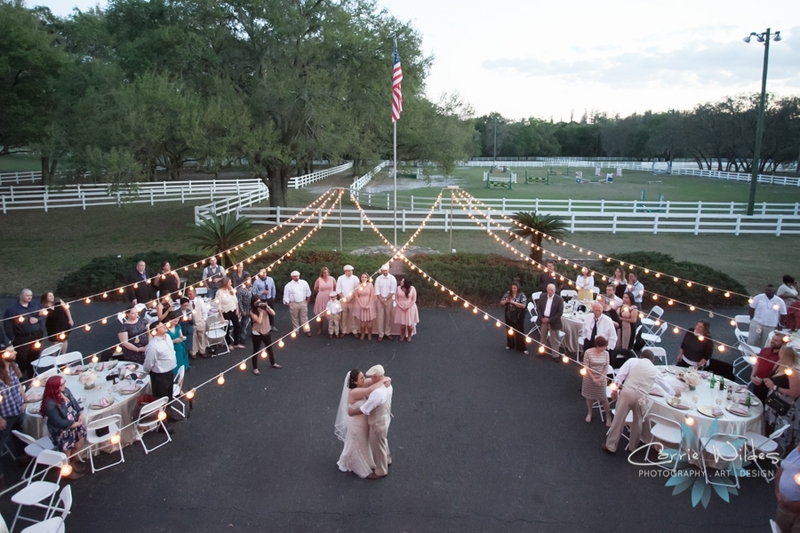 Phase 5 made it an amazing party as always! 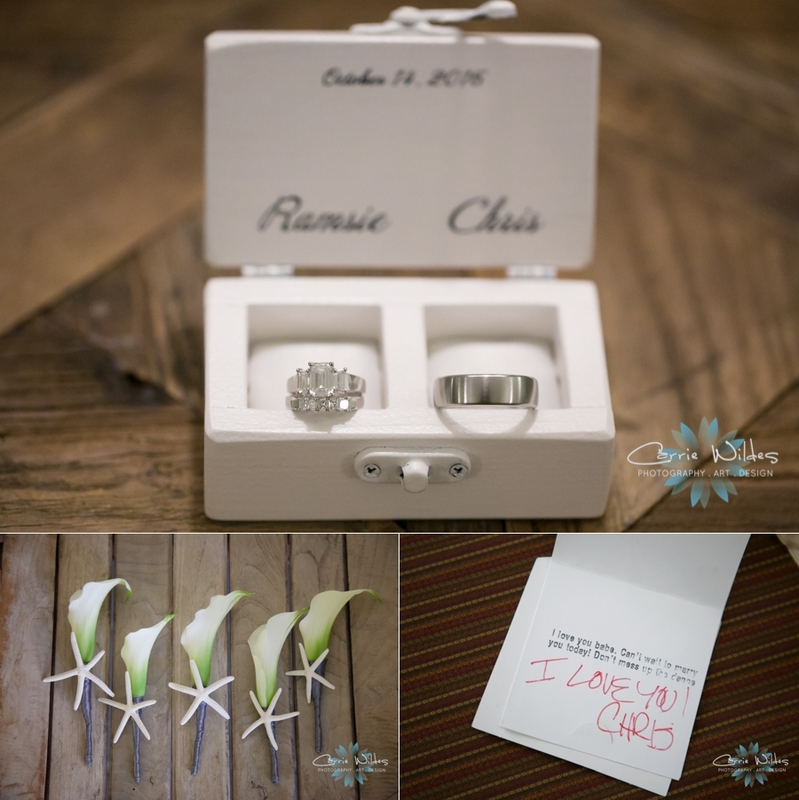 Congrats Ramsie & Chris!! 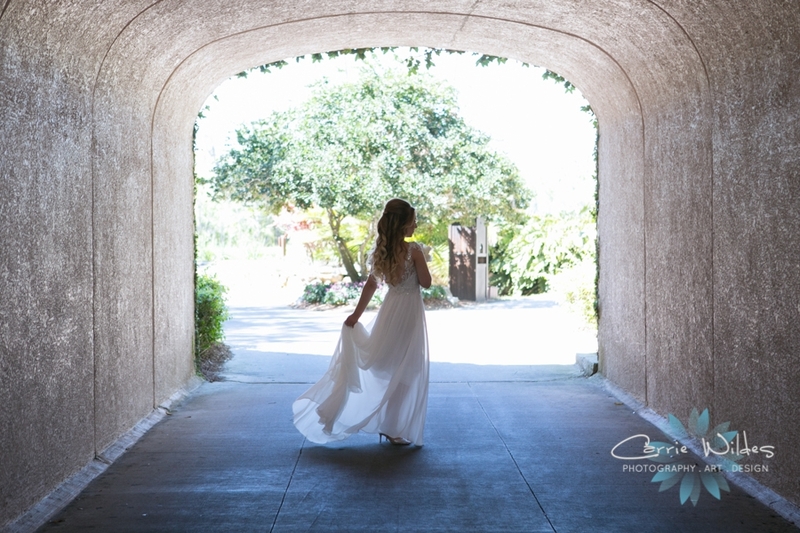 Happy Monday!! 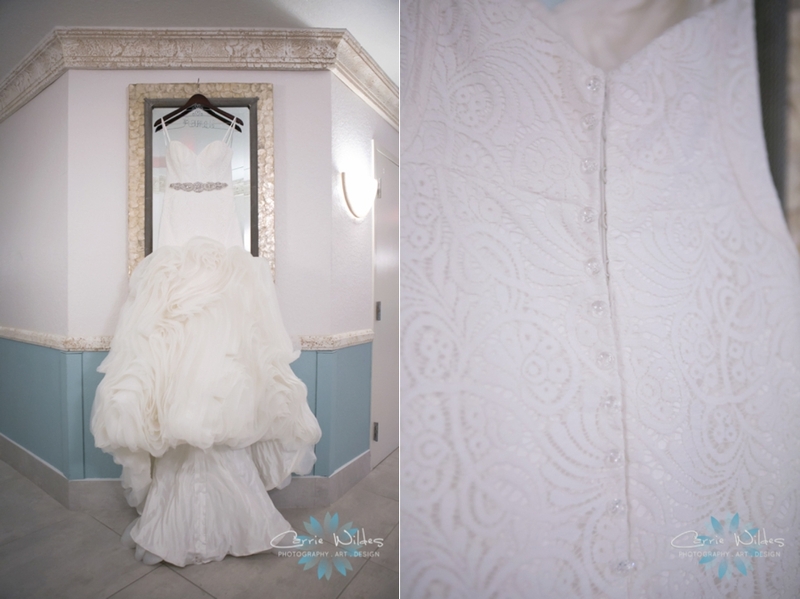 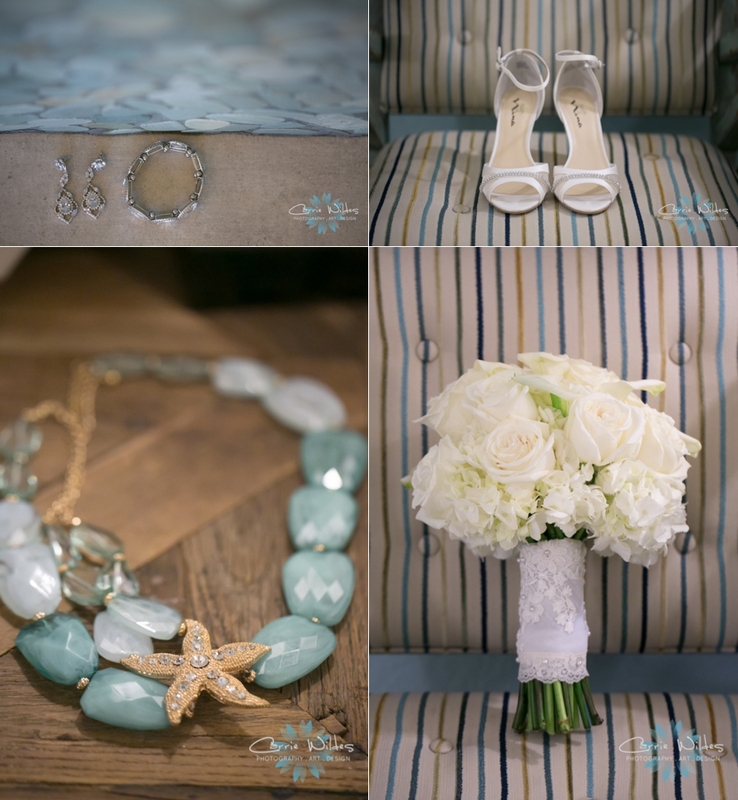 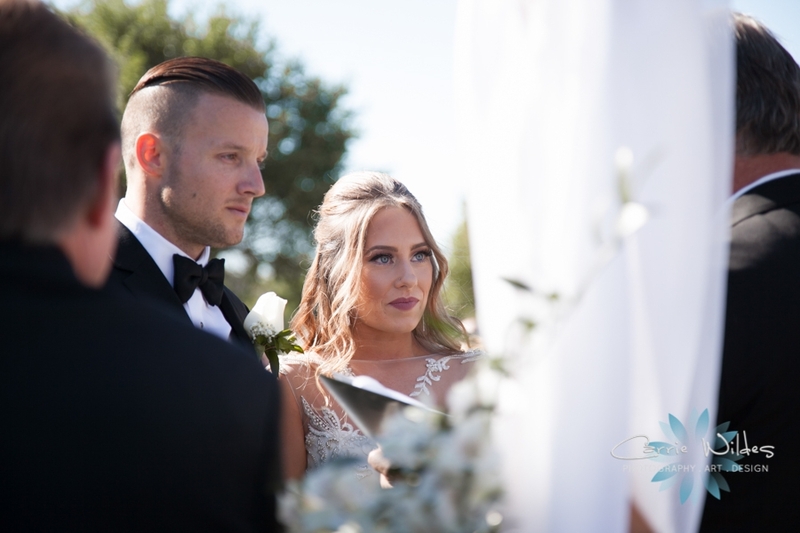 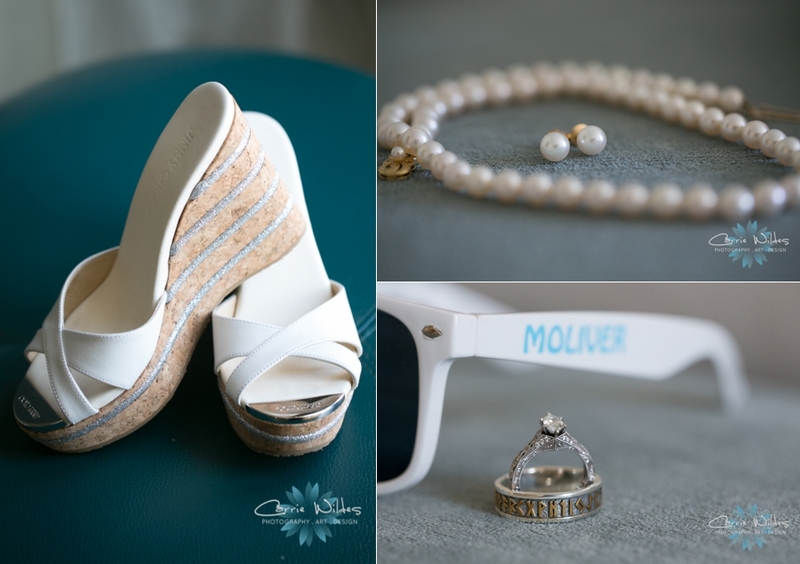 Lauren and Kyle's destination Carlouel Yacht Club wedding had so many pretty details and fun moments! 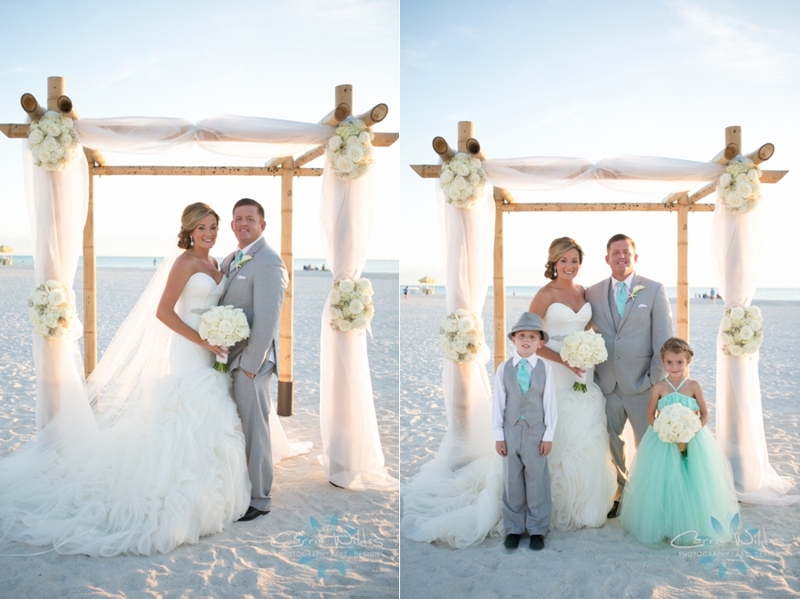 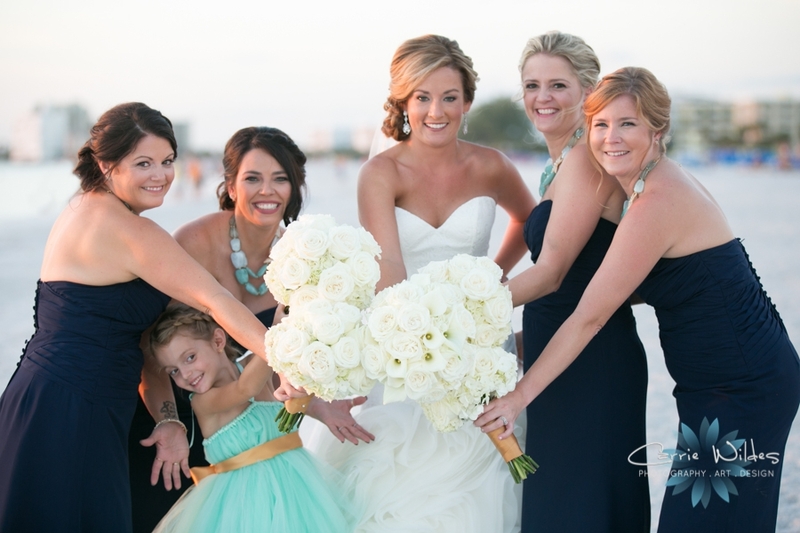 Their story is featured on Beach Bride today!! 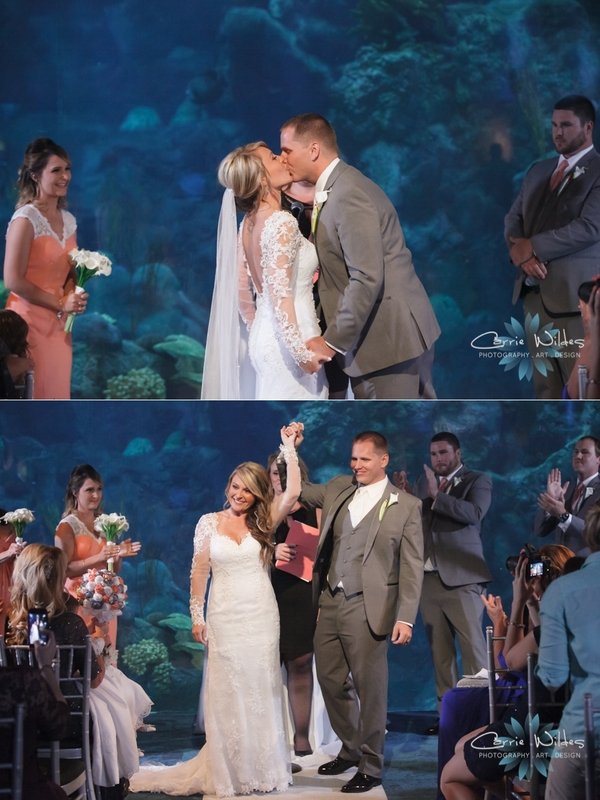 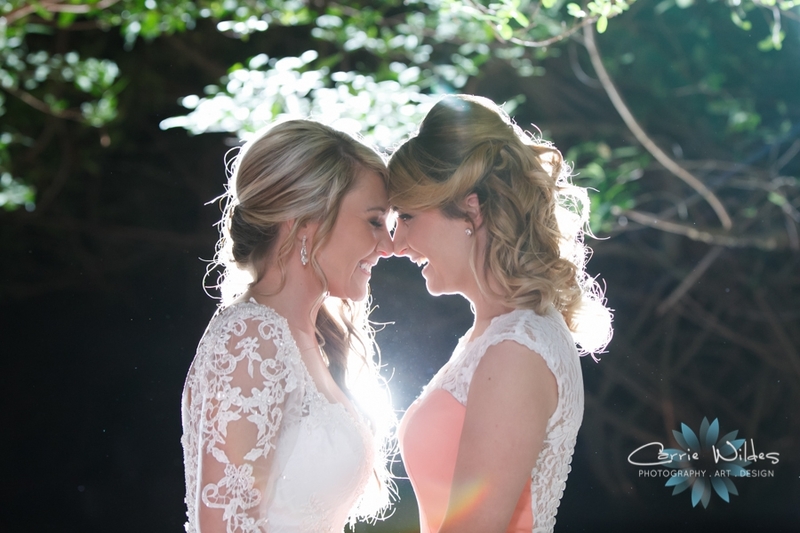 How gorgeous is Siera & Eric's wedding story in print!! 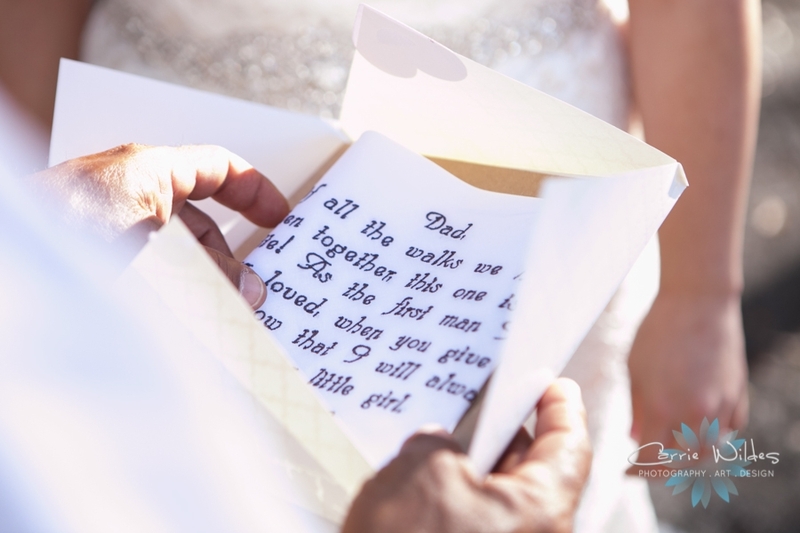 I LOVE the wedgwood blue and gold leaf leather cover they chose. 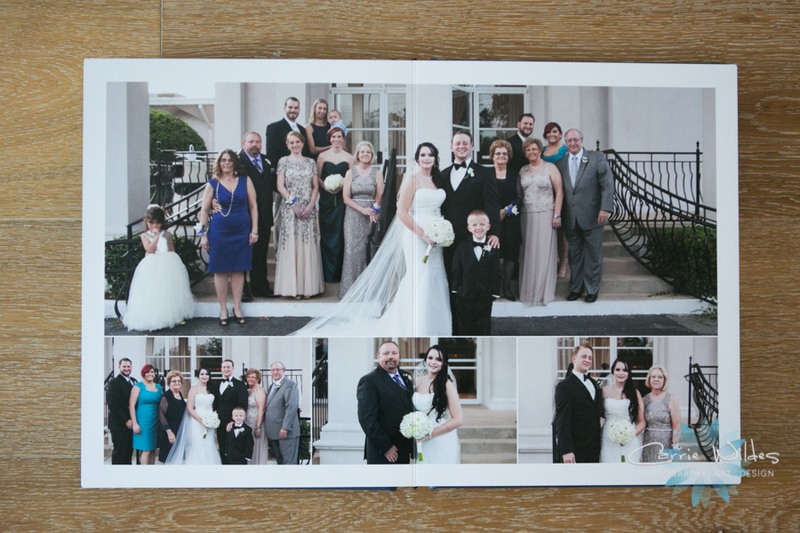 Take a peek inside some of their beautiful moments in print!